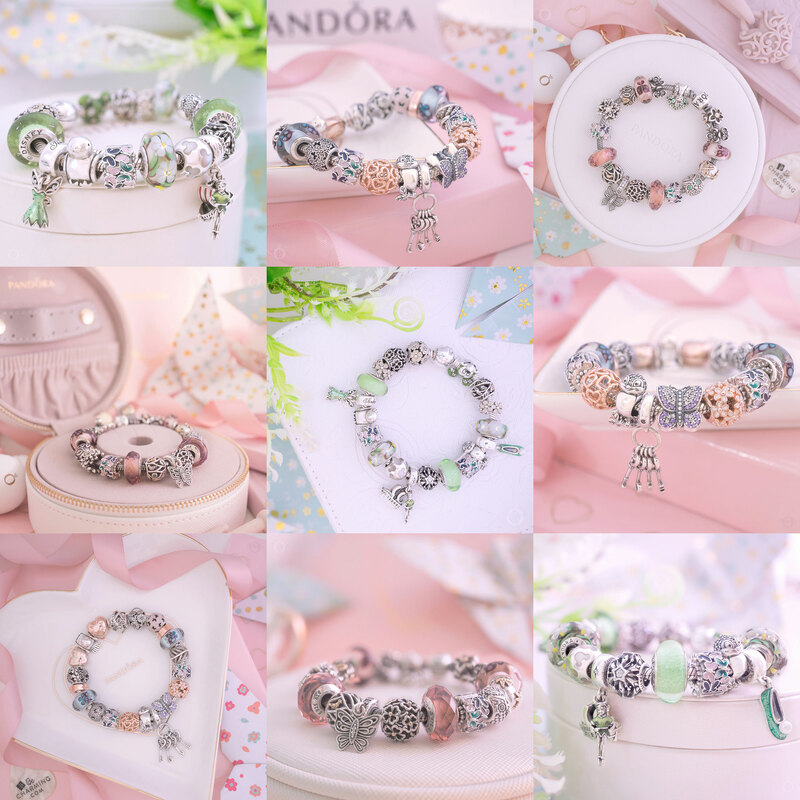 As well as typical love themed charms and jewellery, the 2018 PANDORA Mother’s Day Collection also includes a few hobby charms, ornamental gift sets and wedding themed charms. My personal favourites are the super cute Disney charms! 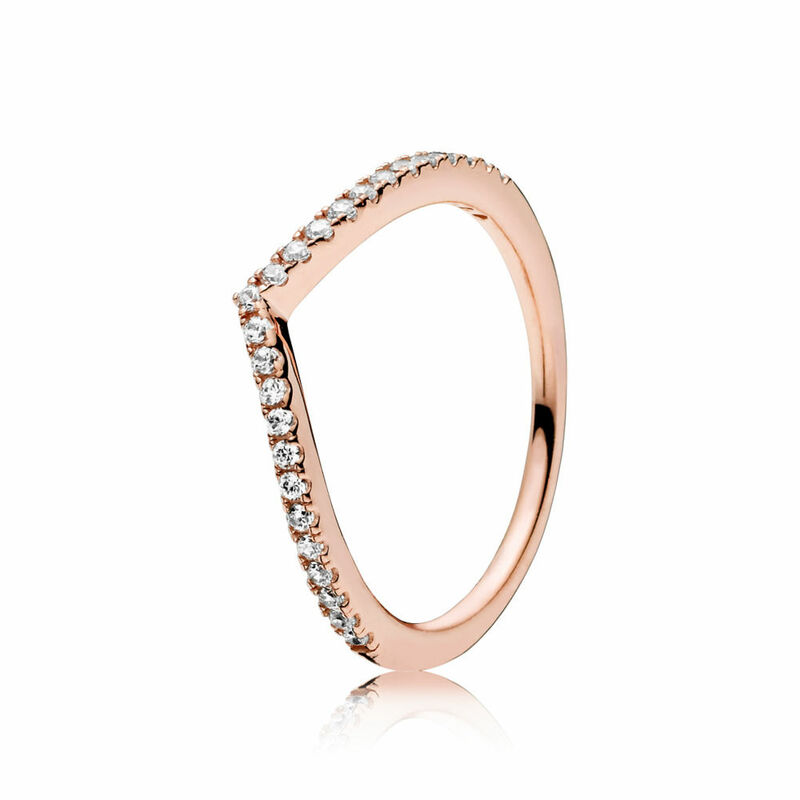 The PANDORA Wish range of rings is very simple but full of a soft feminine style. The plain Shining Wish Ring is my favourite but all three stacked looks amazing! The clear cubic zirconia stones are set around the front of the ring providing a subtle, shimmering sparkle. 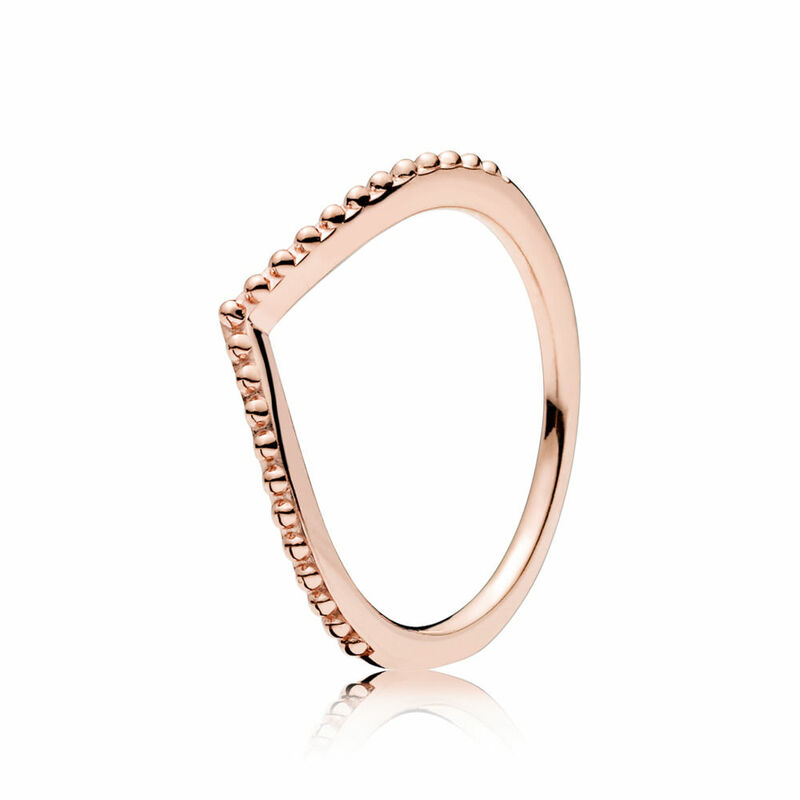 If you are not a cubic zirconia fan the Bead Wish Ring is ideal as the pretty beaded detail adds a simple yet interesting texture. 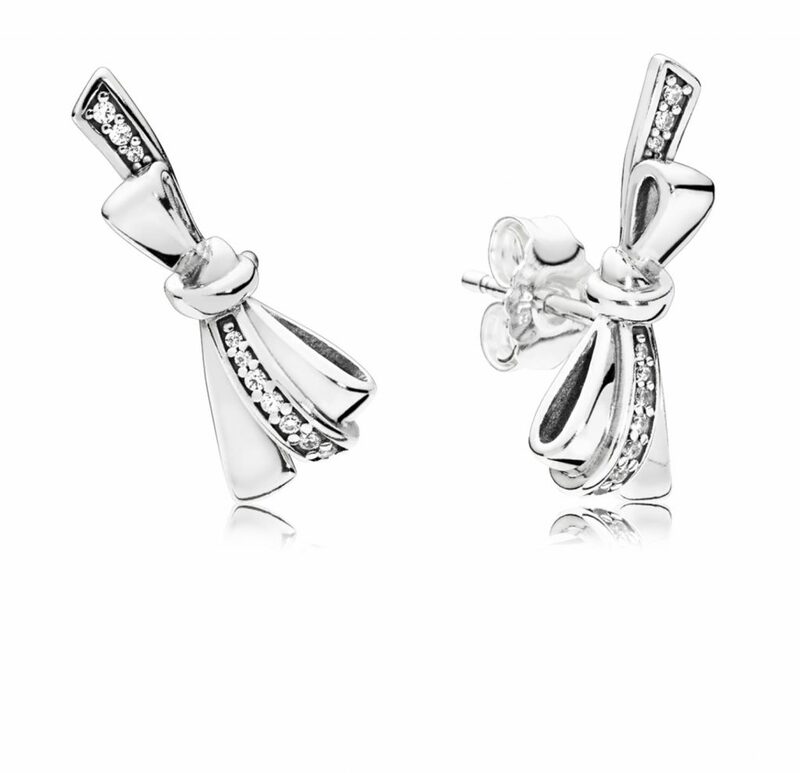 PANDORA have produced quite a few bow themes in the past but I think this might be my favourite yet! The bow is graceful in its almost careless loop. Clear cubic zirconia stones are set on one area of the bow which lifts the overall design. 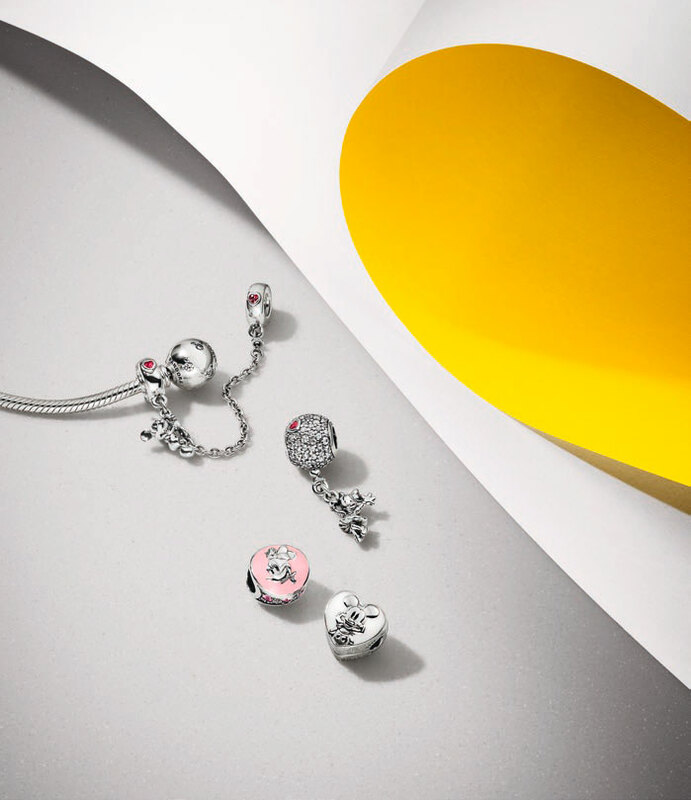 If statement necklaces aren’t your thing you may be interested in trying out the PANDORA Petite Charms in the new PANDORA Floating Locket Ring. Made with strong sapphire crystal glass the ring can display your favourite Petite Charm. 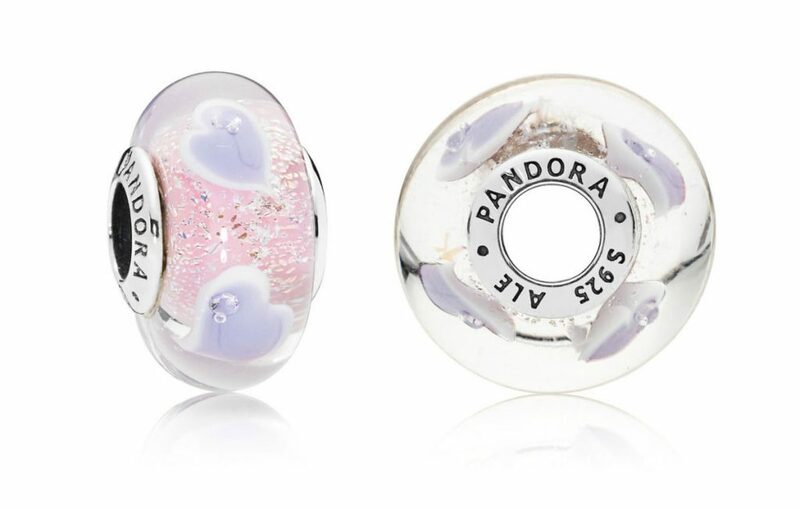 When I first saw the preview of the PANDORA Floating Locket Rings are I was concerned that they would look too chunky. Yet in the image above you can see that when you look down at the ring the locket function is not even noticeable. 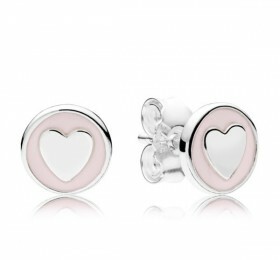 The Flourishing Hearts range is very pretty and these stud earrings would make a wonderful gift. The heart shaped tree is also ‘growing’ a tiny love heart fruit! These Sweet Statement earrings certainly live up to their name as the shape and colour make them resemble those little candy love heart sweets made by Swizzlers! 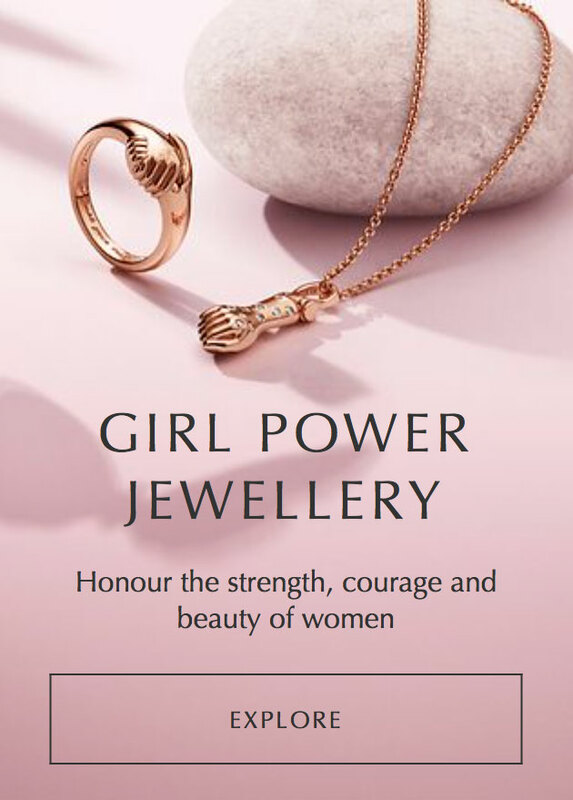 If you like to wear your jewellery as a set the PANDORA Brilliant Bow range includes the ring, earrings, bracelet and necklace. 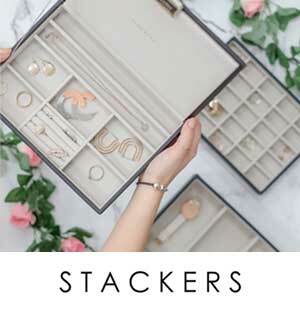 These hoop earrings are quite interesting as at first look they appear to be stud earrings! 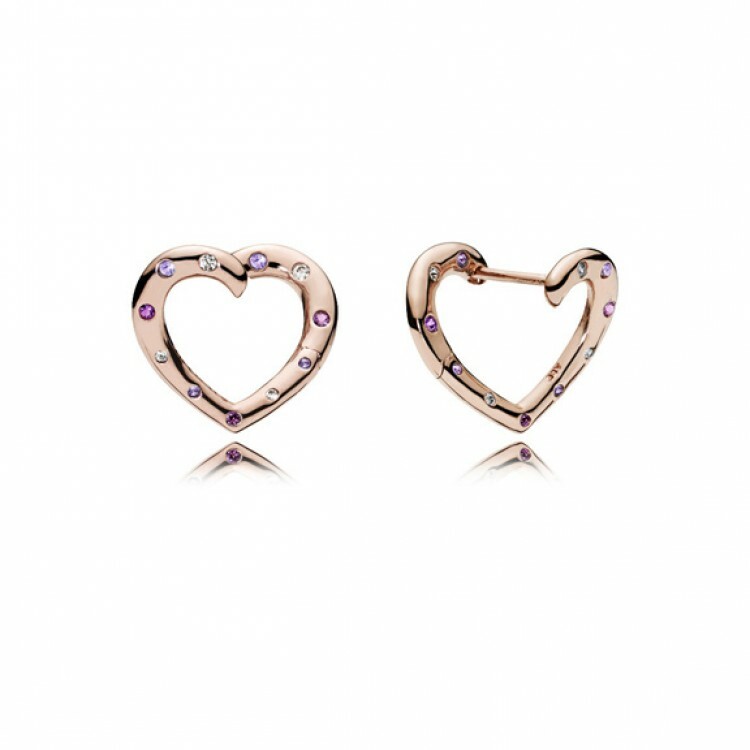 They are designed so that when worn the ear lobe sits between the front and back of the heart design. 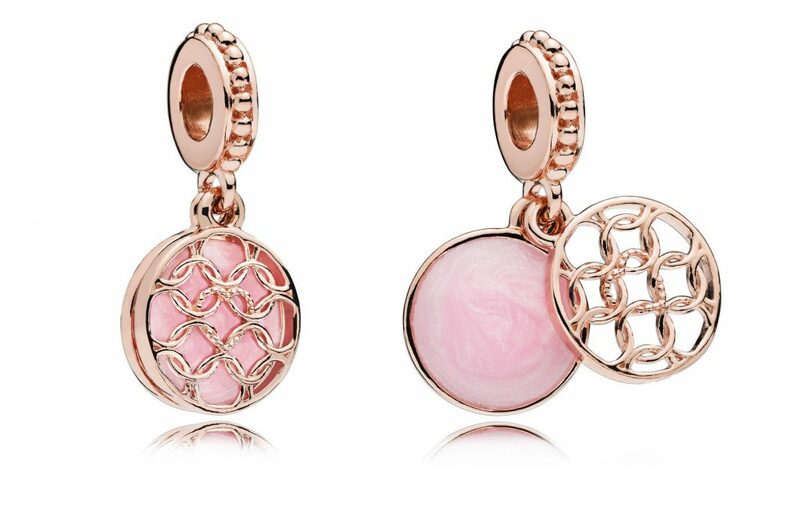 There is also a PANDORA Rose version of the Bright Hearts Hoop Earrings. 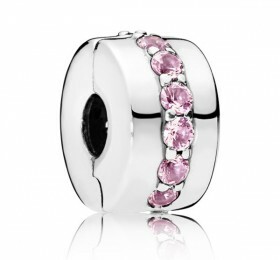 Both versions feature clear cubic zirconia stones and pink and lilac crystals. 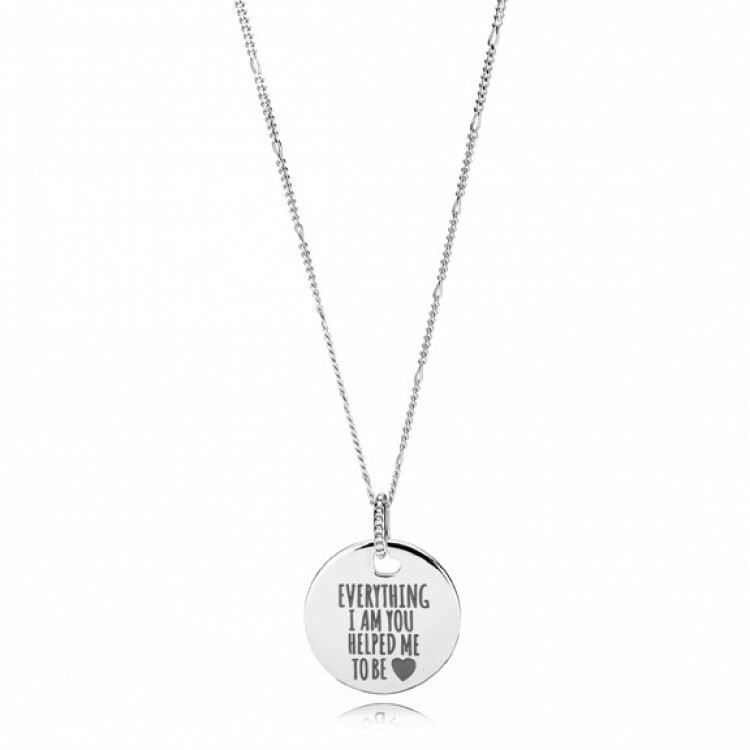 PANDORA is has produced lots of exclusive engraved charms in the US and now we have a new engraved Pendant Disc Necklace. This disc pendant on a 60cm chain is engraved with the message ‘Everything I Am You Helped Me to Be’. 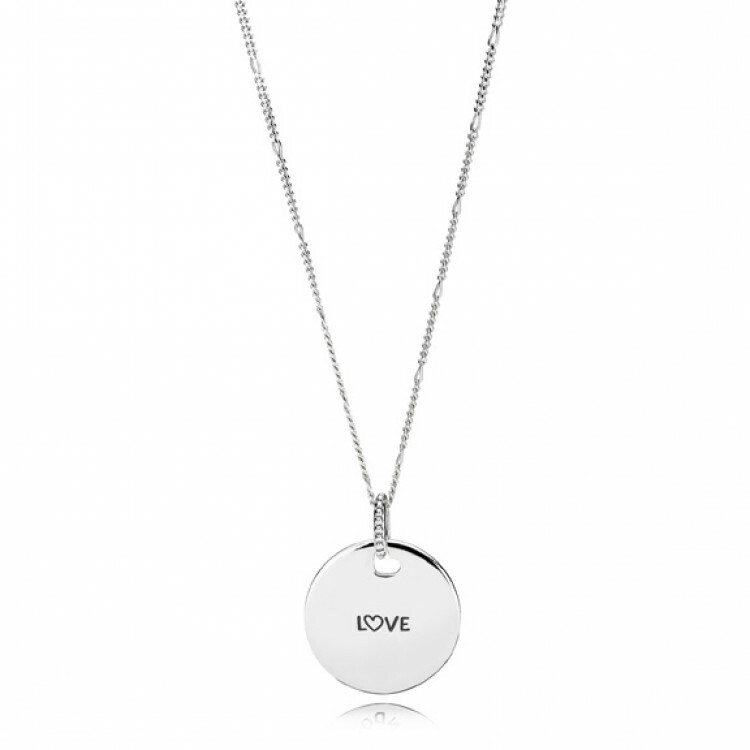 This simple silver disc has the word ‘love’ engraved with a love heart instead of a letter ‘o’. 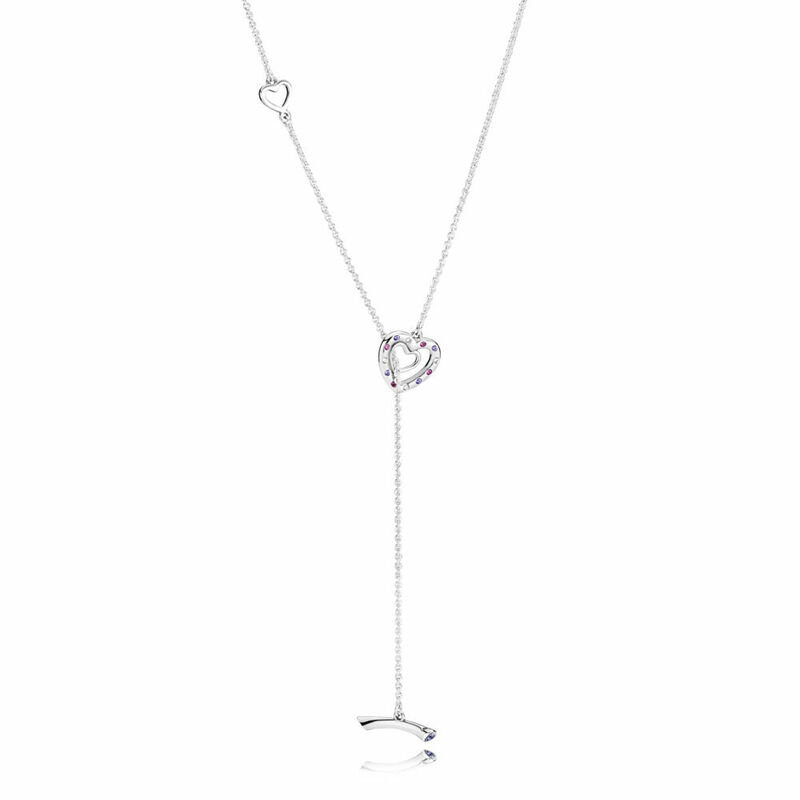 With its 55cm chain the Bright Hearts Necklace is a slightly longer chain for such a dainty design. The silver bar at the end of the chain threads through the heart at the opposite end. 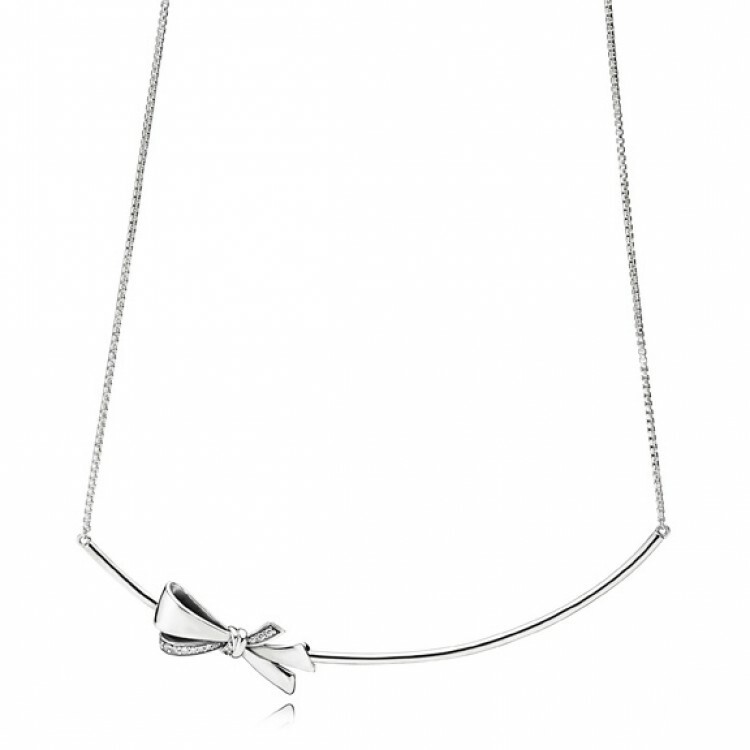 The Brilliant Bow necklace is a similar design to the Arch and Spring Bird Necklaces from the PANDORA Spring 2018 collection. 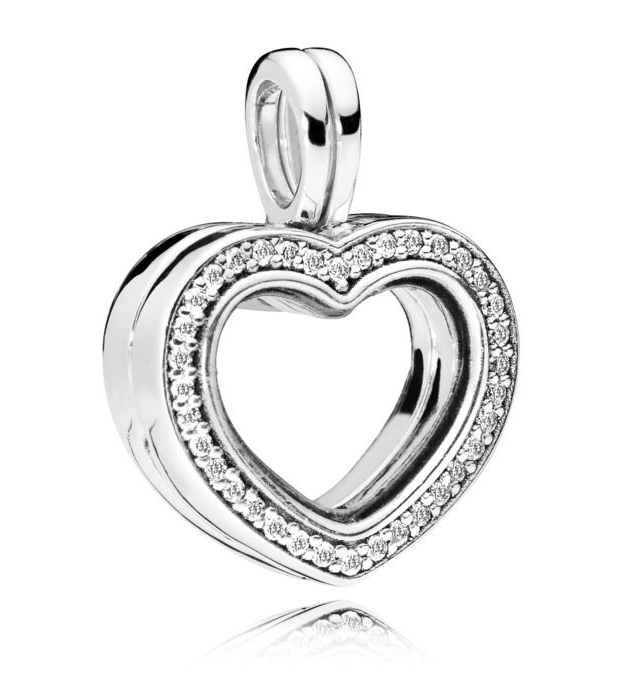 This is a cubic zirconia version of the PANDORA Heart Floating Locket. The chain is available in 40cm, 50cm or 60cm. 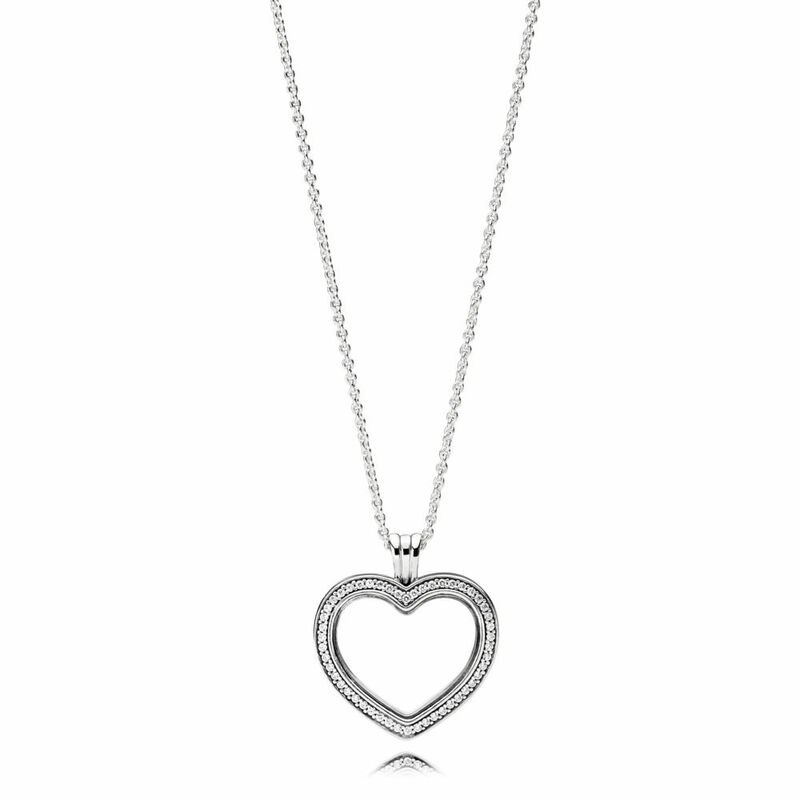 It is wonderful to see PANDORA exploring new designs such as this stunning Harmonious Heart Chime necklace! The filigree design features multiple hearts which form a sphere. 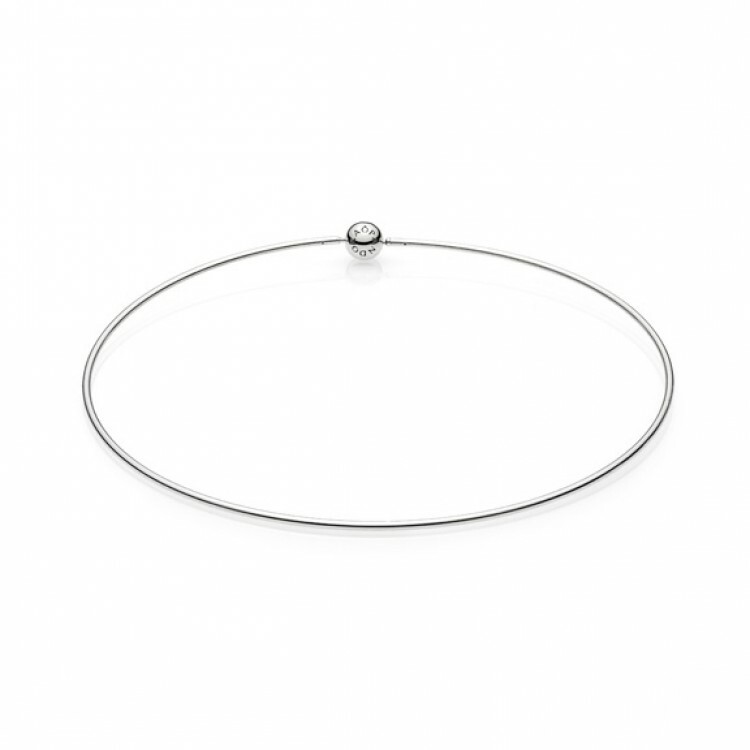 The ball inside the heart pendant creates a soft chiming sound is believed to have a calming effect. Particularly perfect for mothers-to-be and babies. I am really looking forward to seeing this necklace in real life. 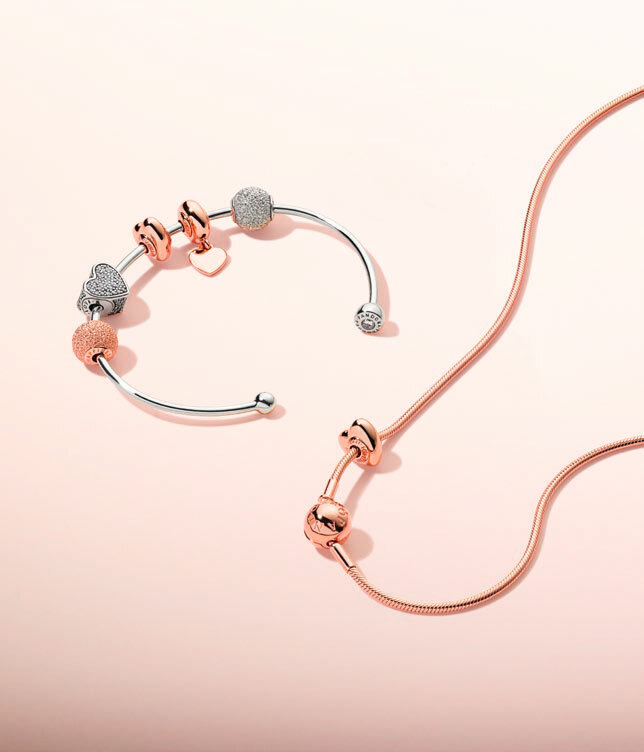 With choker necklaces being on trend for 2018 we were bound to see a PANDORA Essence version! This light collier necklace is available in two sizes: 40 and 50cm. 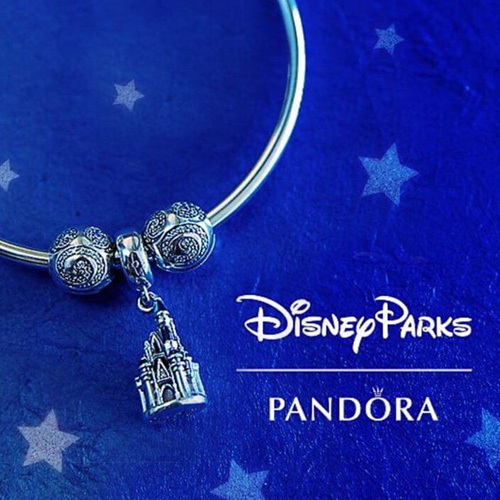 There is also a new PANDORA Essence bracelet which appears to be similar to the PANDORA Moments Open Bangle. As of course the Essence range is slimmer, it looks incredibly delicate and very elegant. 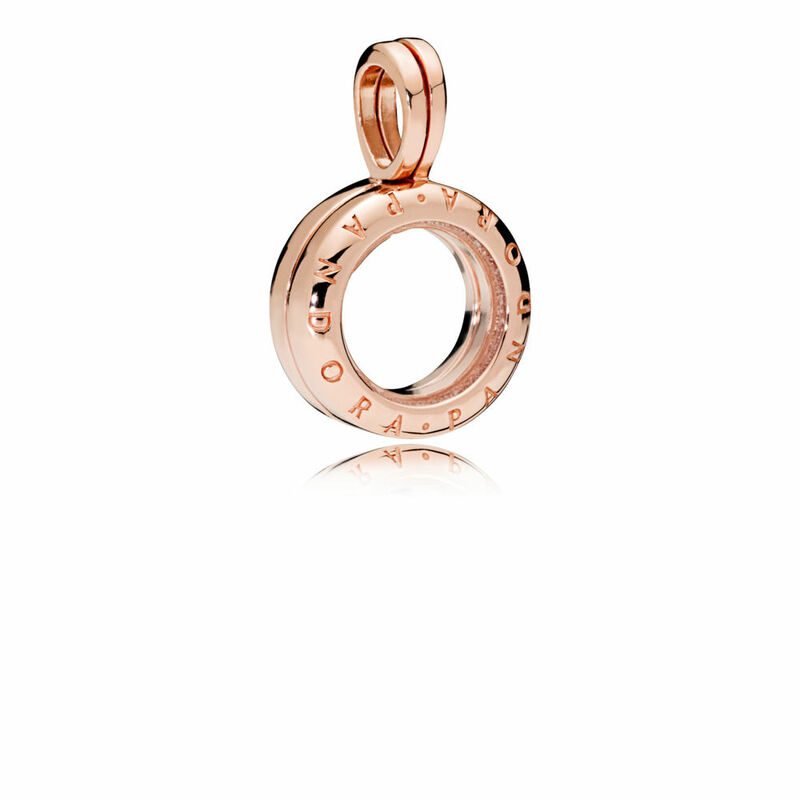 This charm is quite slim and is more like a spacer than a charm. 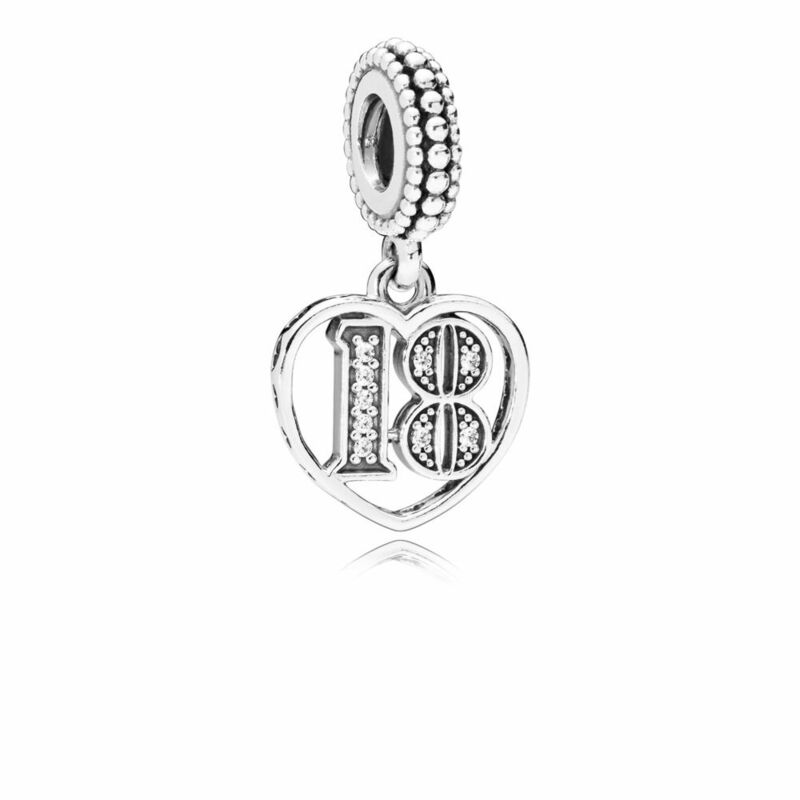 The heart shape is not as noticeable from the side of the charm. 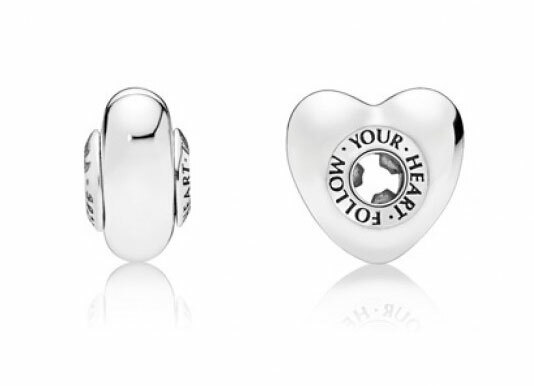 There is also a PANDORA Rose version of the Essence Follow Your Heart charm. In this image you can see how subtle the heart shape is when viewed from the side. The new Love Makes a Family charm is a completely new design and is not yet available as a silver version. The lithe family figures remind me of beautiful stone sculptures I saw in the amazing Vigeland Park in Oslo, Norway. 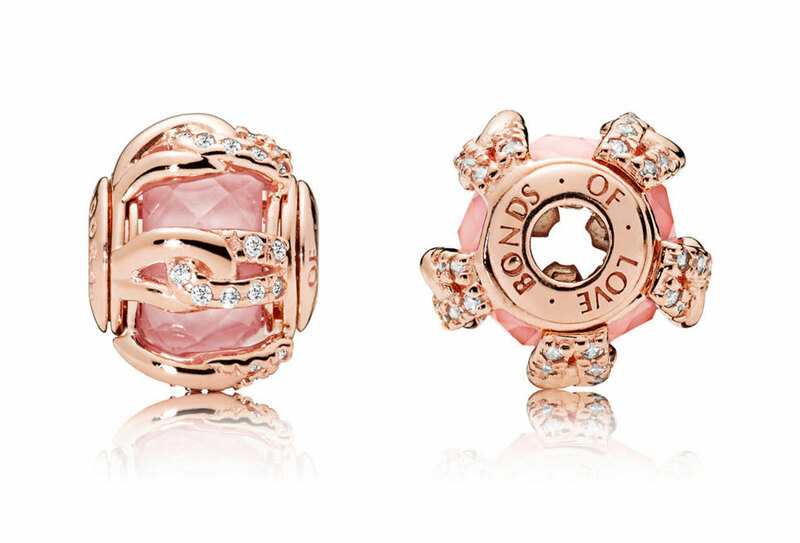 The Bonds of Love charm is very similar to the PANDORA Rose Intertwining Radiance Charm from the PANDORA Autumn 2017 collection. 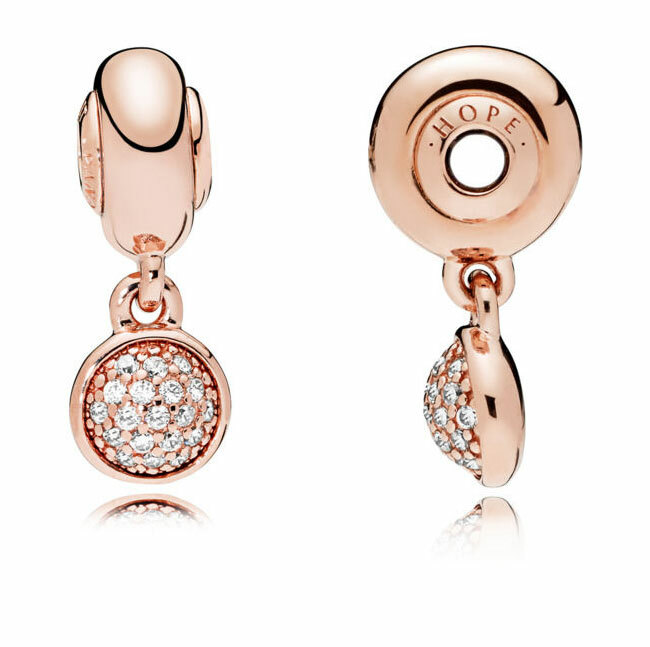 We now have a PANDORA Rose version of the Essence Hope charm. 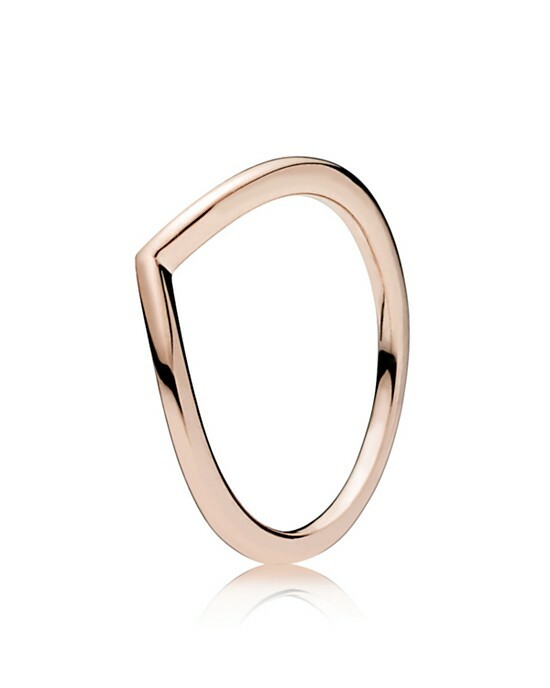 The circle symbolises perfection, wholeness and infinity. Plus a PANDORA Rose version of the Essence Appreciation charm. 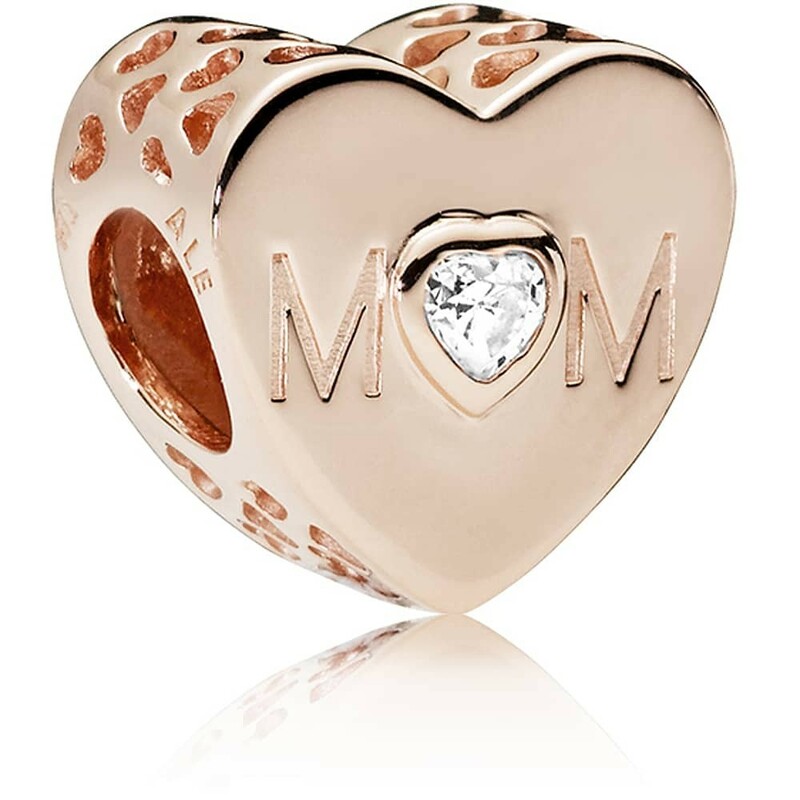 The smooth polished heart can be engraved with your personal inscription of appreciation. 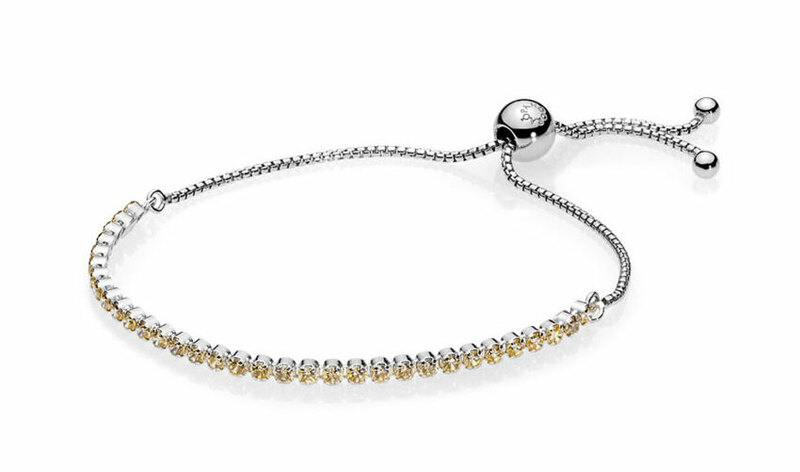 We have new colour version of the PANDORA Sparkling Stand Bracelet including a charming Golden colour which would be wonderful stacked with the PANDORA Shine range. 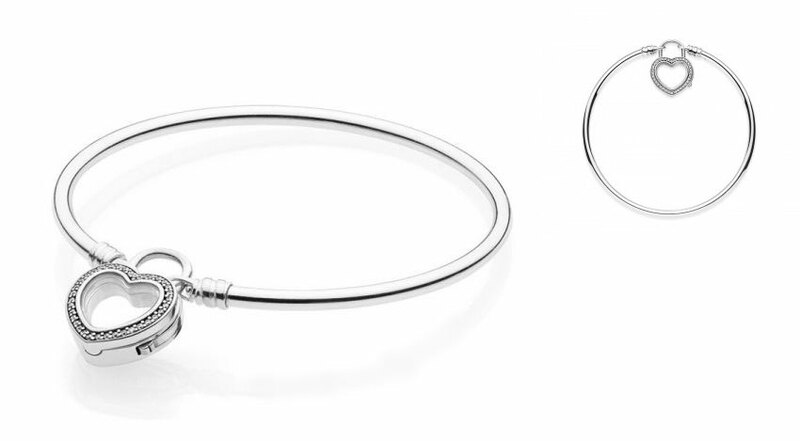 For me the Floating Heart Locket Bangle most exciting new bracelet from the Mother’s Day collection. I still haven’t purchased a Floating Locket as I don’t normally like to wear big necklaces. 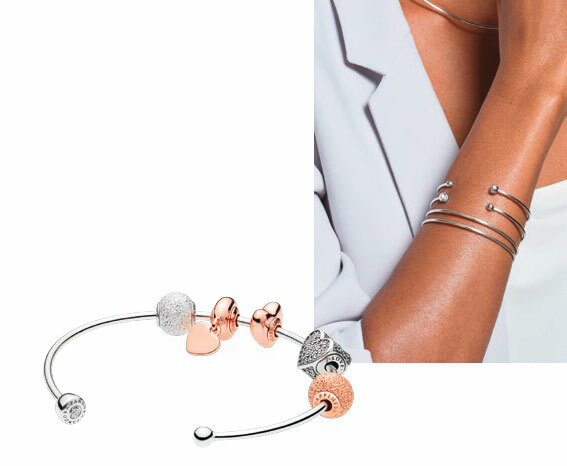 However I have wanted to be able to wear all of the fun PANDORA Petite charms so the Floating Locket Bangle is the perfect excuse! 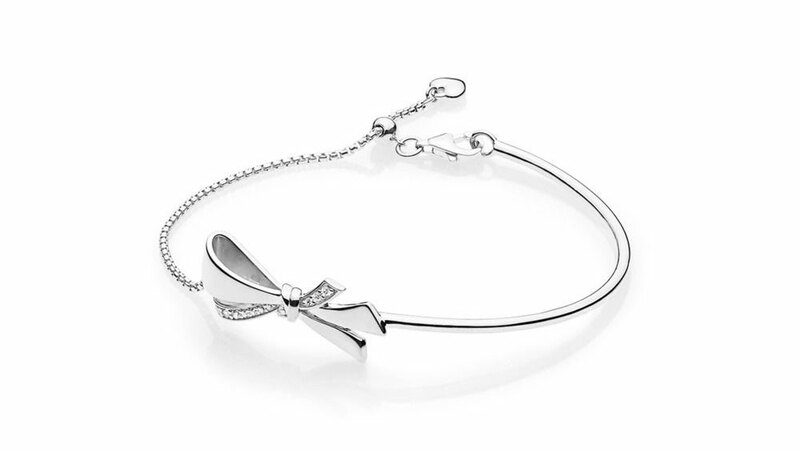 The sweet Brilliant Bow Bracelet has a delightful contrast with one part solid silver and the others side a sliding silver chain. 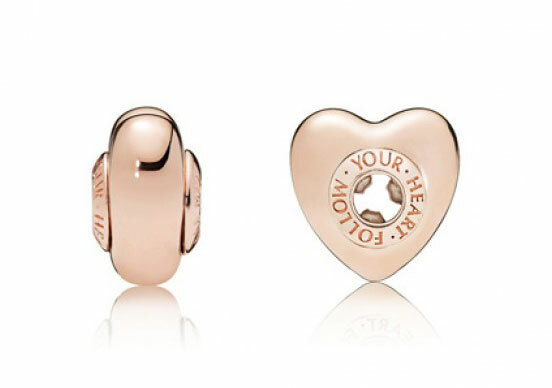 There is a new PANDORA Shine version of the Mother Heart Charm, which is a luxurious tribute to a special mother. 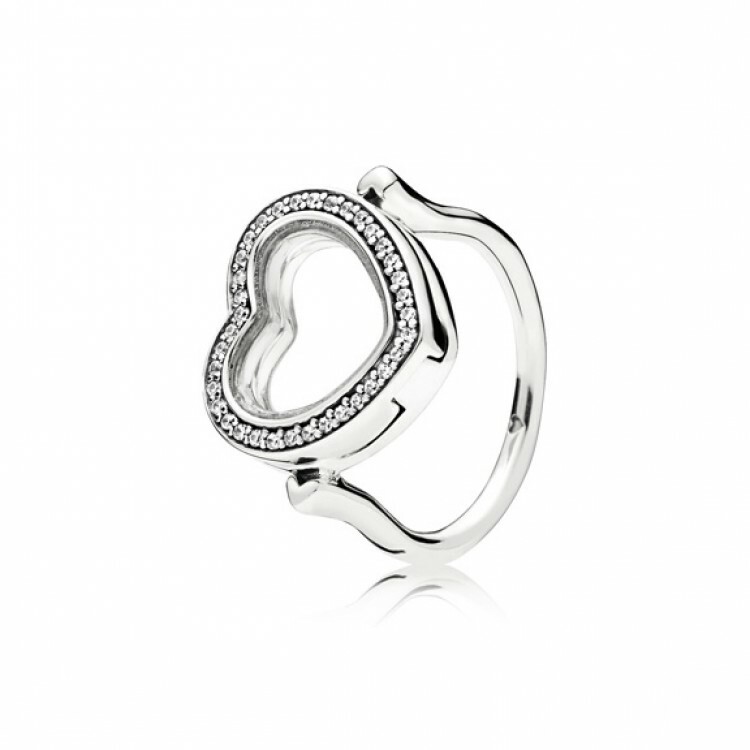 The 18ct gold-plated charm is set off with the sparkling clear cubic zirconia heart at the centre of the design and tiny cut out hearts surround the charm. 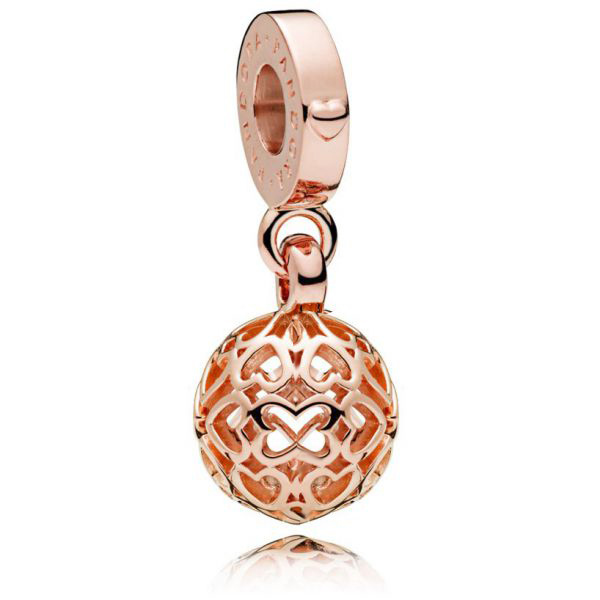 This is a silver and 18k gold plated two tone charm with two pendant discs. One is inscribed with ‘Love you MORE’ and the other ‘Love you MOST’! It is a fun sentiment and would make a sweet gift. 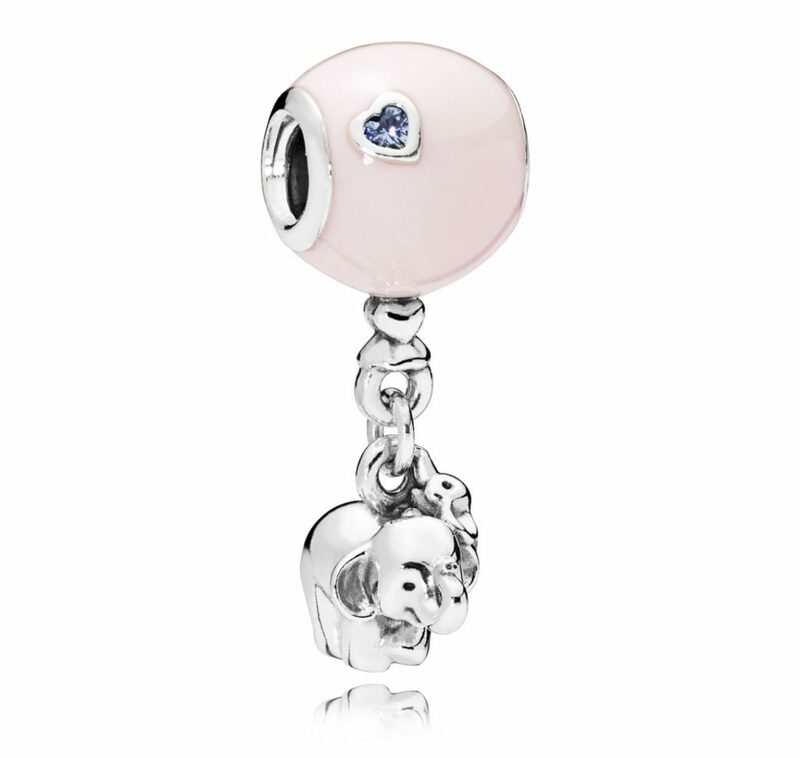 I am thinking perhaps this new PANDORA Shine charm would be ideal for me, although I would change the name to TheoDORA Bear! 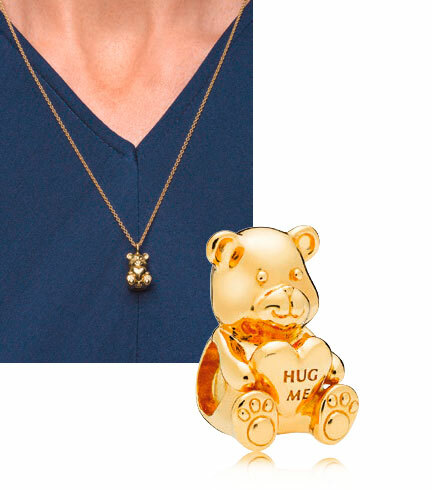 The PANDORA Shine Theodora, ahem I mean Theodore Bear is also available as a pendant charm. In both versions Theodore Bear is holding a heart inscribed with the message ‘HUG ME’. I really love his little cute paws! 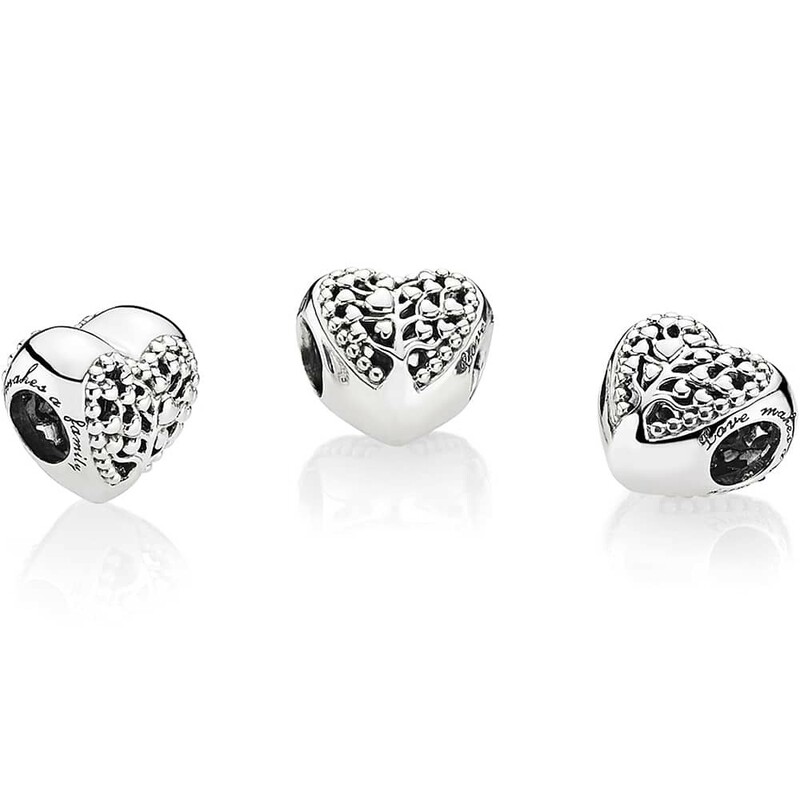 This pretty PANDORA Shine pendant charm features silver enamel on the reverse of the charm and a solid heart. The front has the message ‘love you MORE’ with a little embossed love heart. The hole at the top is also a heart shape which is a nice detail. We have a new pink version of the PANDORA Shining Path Clip. I really love my clear version of this design and use them a lot. 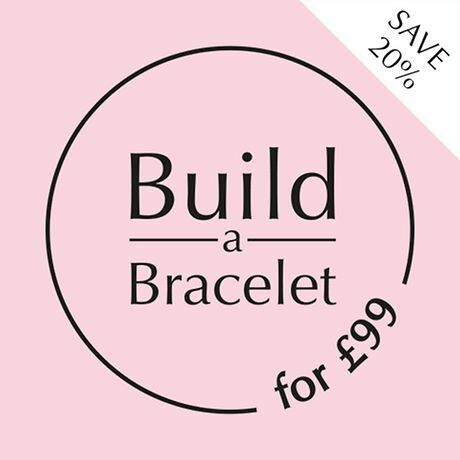 The pink option would be nice to add a dash of colour into a bracelet design. This is such a pretty design which looks gorgeous with its little heart details that are timeless symbol of family, love and ties. If you prefer more subtle designs that reflect the close bond between a mother and her children this is quite a sweet option! The mother bird and her baby sit snuggly together behind a little rose, peeping out. If you have a perfect mom then spell out your love in this fun hanging letter charm with a pink heart crystal on the letter ‘o’ and purple crystal on the bale. 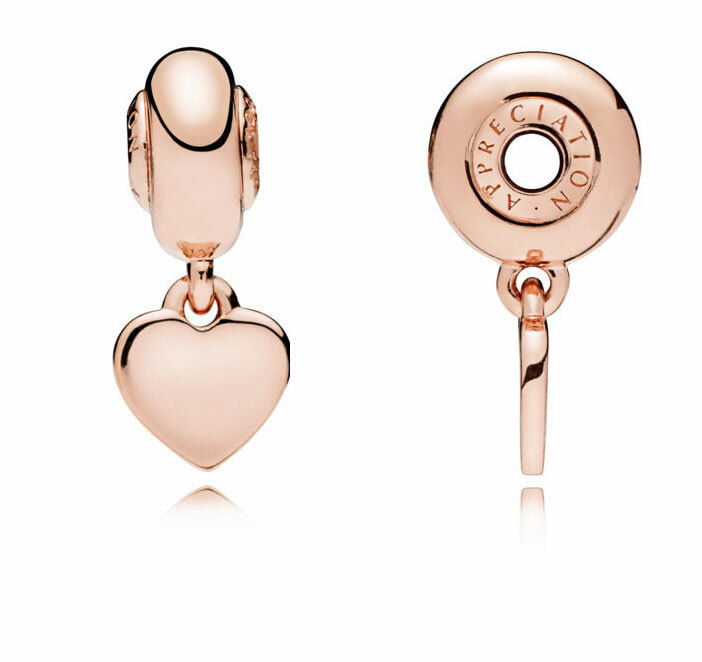 This is such a pretty charm and I love the slightly bulbous shape the heart has. Notice the sweet inscription around the hole, ‘Love makes a family’! It is also very reasonably priced. 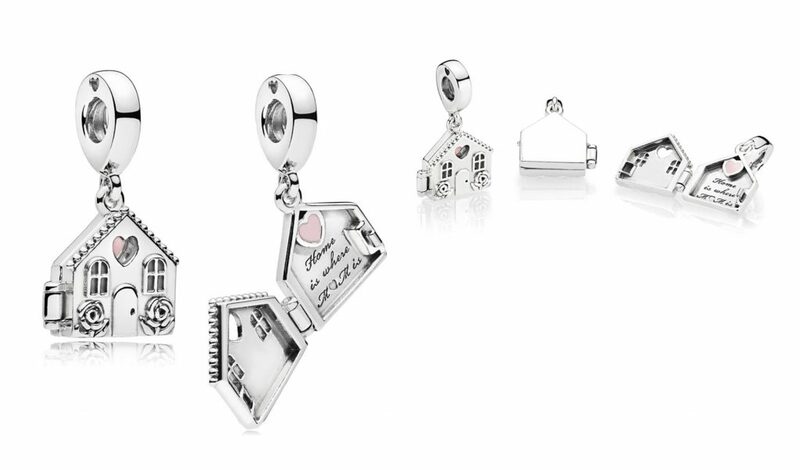 The Perfect Home charms is really cute with its roses by the door and little cut out heart above the windows. When opened it reveals the message ‘Home is where the heart is’. 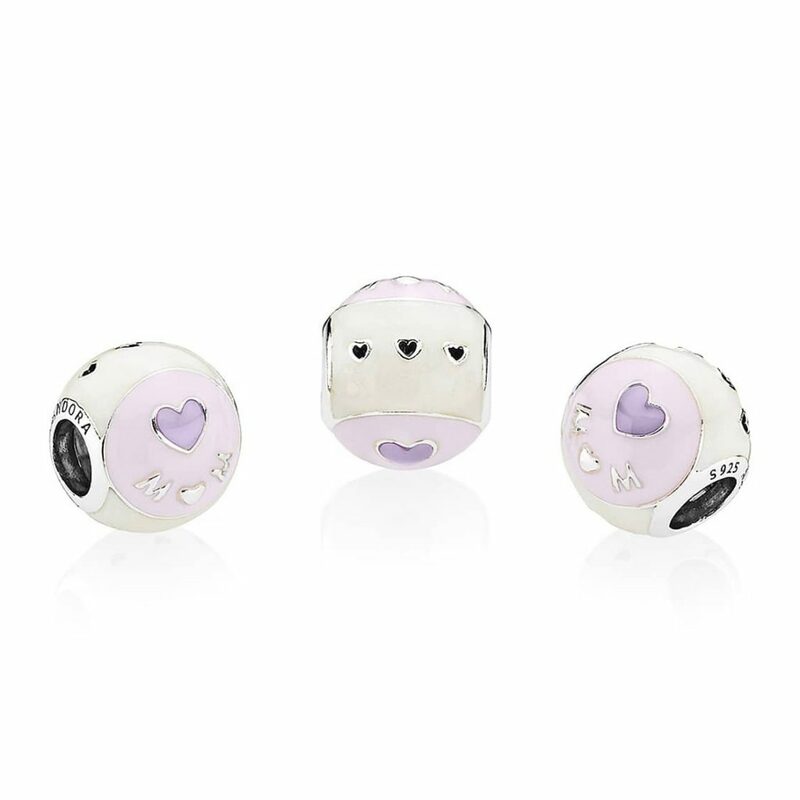 This charm is embellished in a glossy white, pink and lilac enamel with three little cut out hearts on the top and bottom of the design. 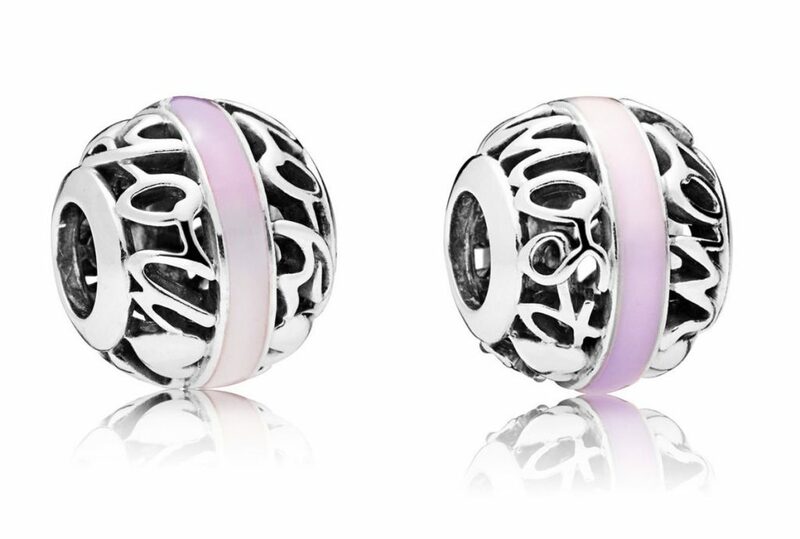 I absolutely love the new range of balloon charms from PANDORA! This one is a shimmering silver enamel with a clear cubic zirconia heart and Teddy and his rabbit friend hanging below. 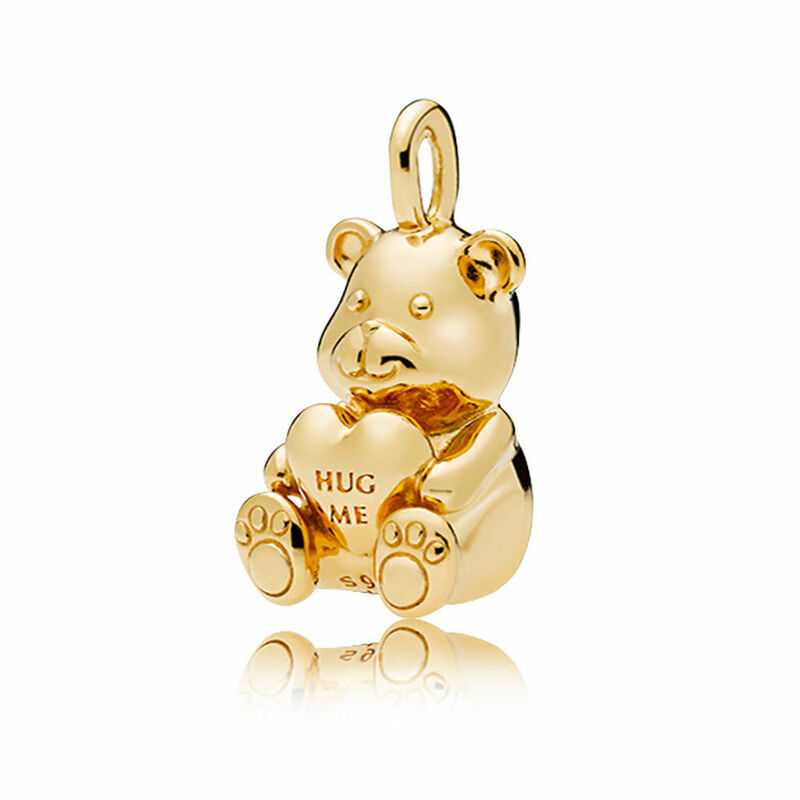 When I first previewed this charm it Teddy looked like Winnie-the-Pooh and it looked like little Piglet holding onto his hand. In this high quality image you can definitely see that it is a rabbit and the bear isn’t as tubby as Pooh. In my original preview of this glass charm I couldn’t see the little cubic zirconia stones floating above the lilac hearts. It is a nice detail which adds depth to the charm but I am not sure about the colour. Maybe it will improve when I see it in real life. 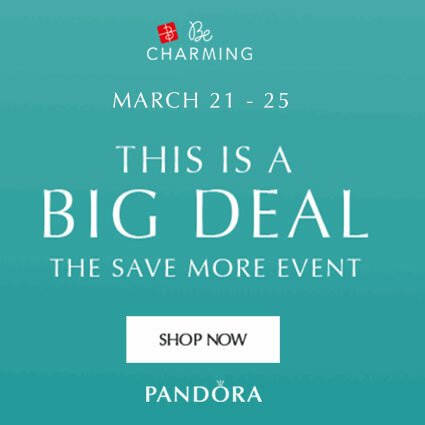 I love that PANDORA created more abstract ideas for their Mother’s Day collection this year, such as the Elephant & Balloon Charms. This one features a pretty, soft pink enamel and Purple Heart crystal which is perfect for a little girl. 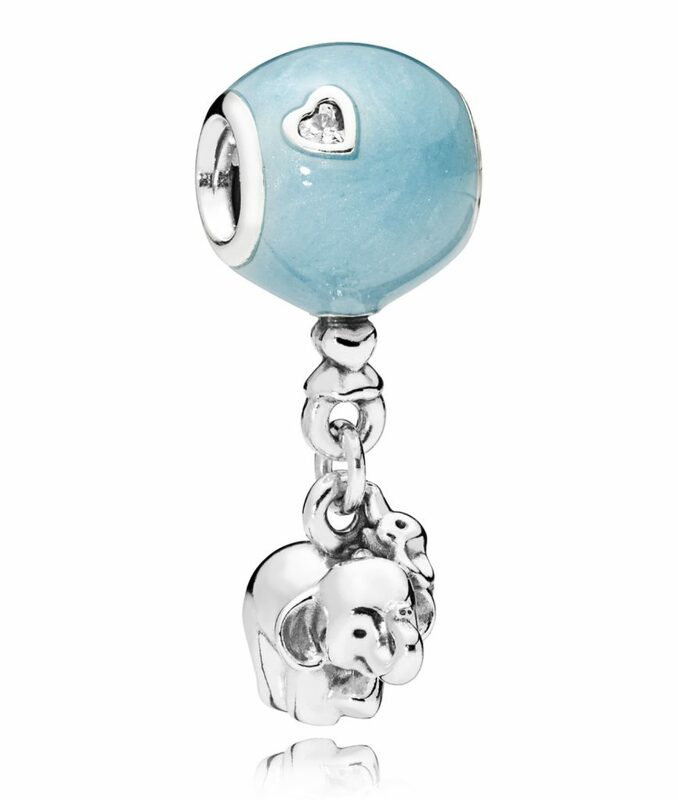 The blue enamel version of the Elephant & Balloon charm would of course be perfect to celebrate a baby boy. 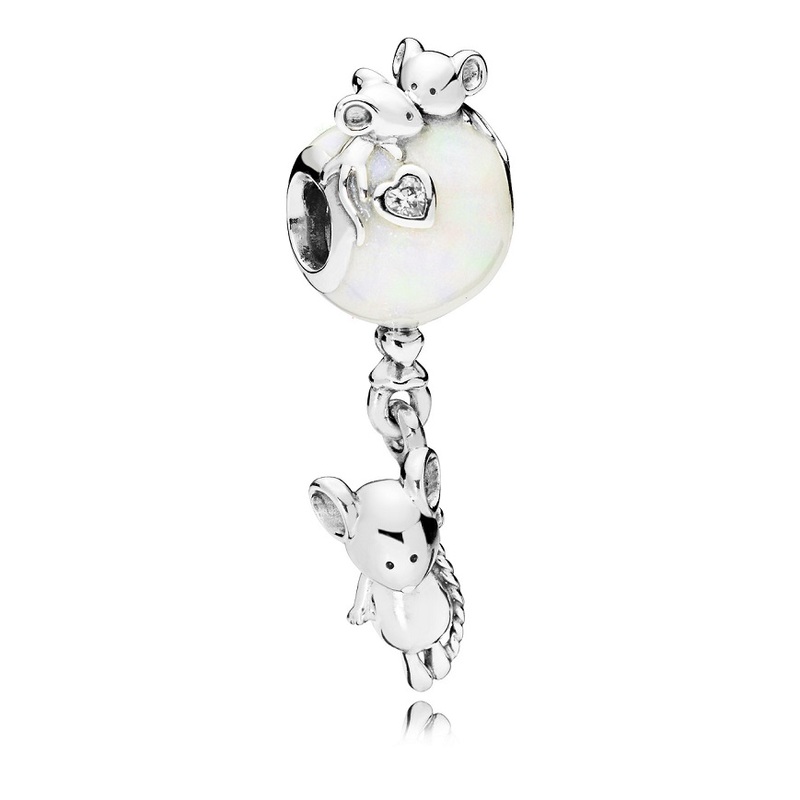 This charm also reminds me of when baby Dumbo is delivered by the stork! The Love Couple Pendant is quite a quirky charm with three little dangles; a moustache, heart inscribed with ‘His & Hers’ and pink lips! 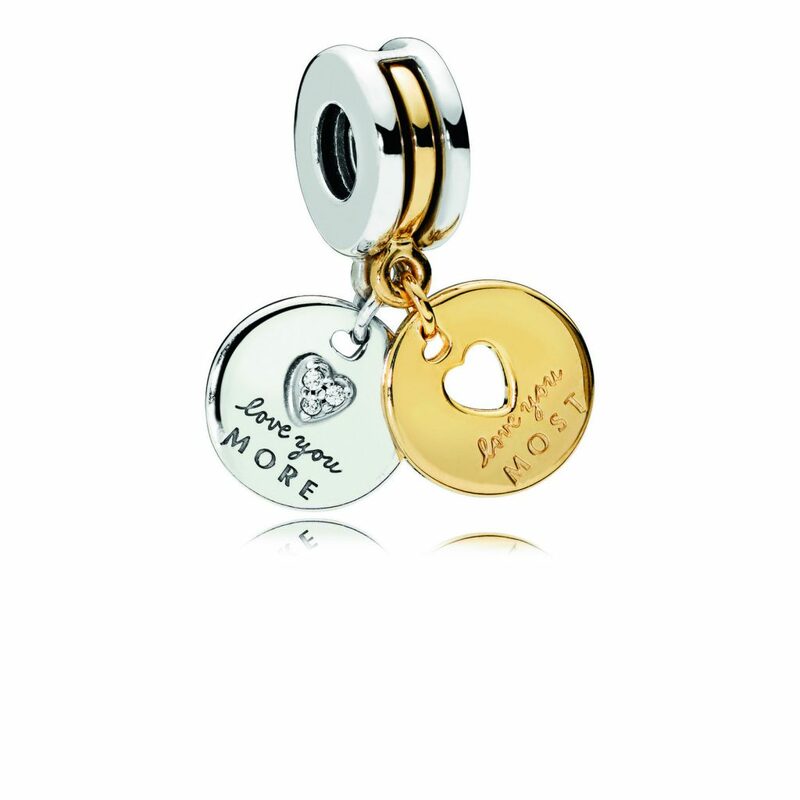 The bale of the charm features a heart stamp and ‘love me life’ message. 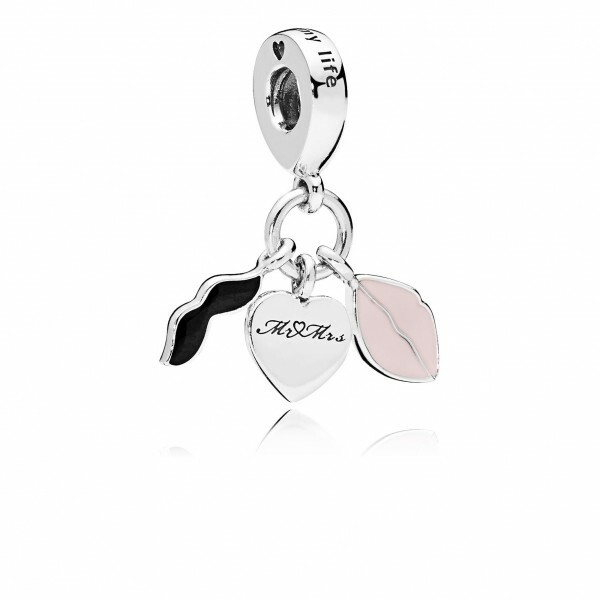 This is a wonderful charm to commemorate your friends help as your bridesmaid on your special day. 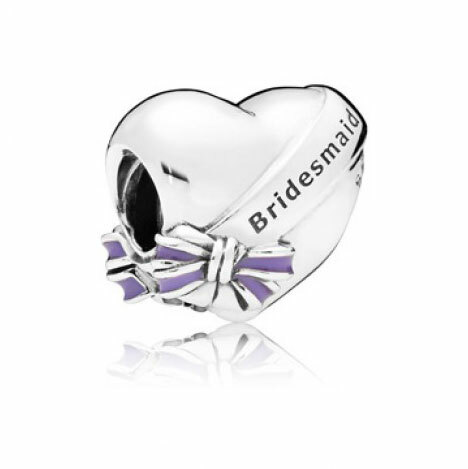 A shiny silver love heart with a purple enamel bow and a sash with the word ‘Bridesmaid’. 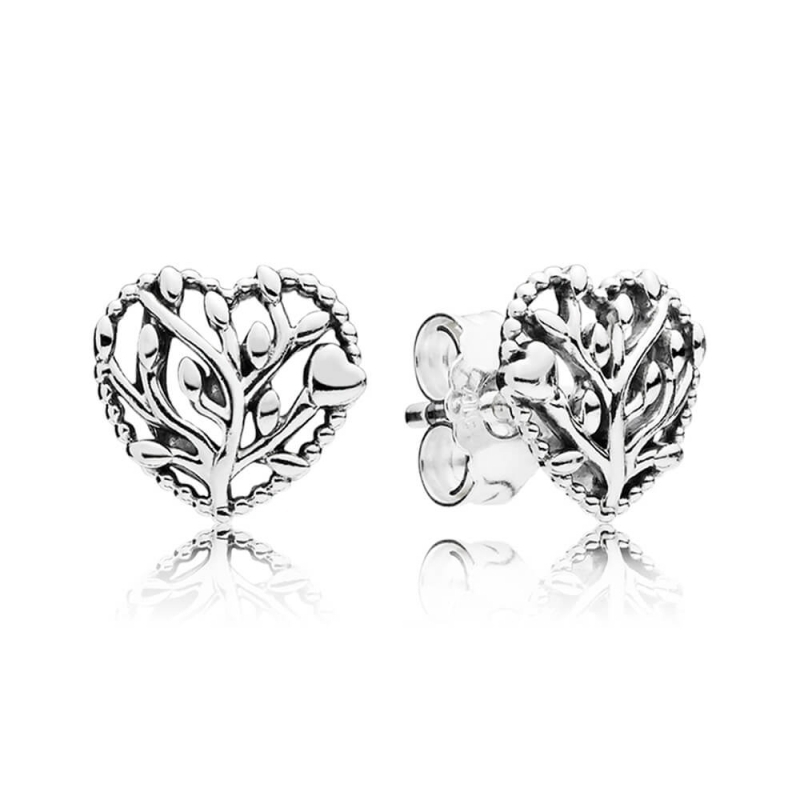 Whether you are celebrating age or years of marriage this is the ideal charm. 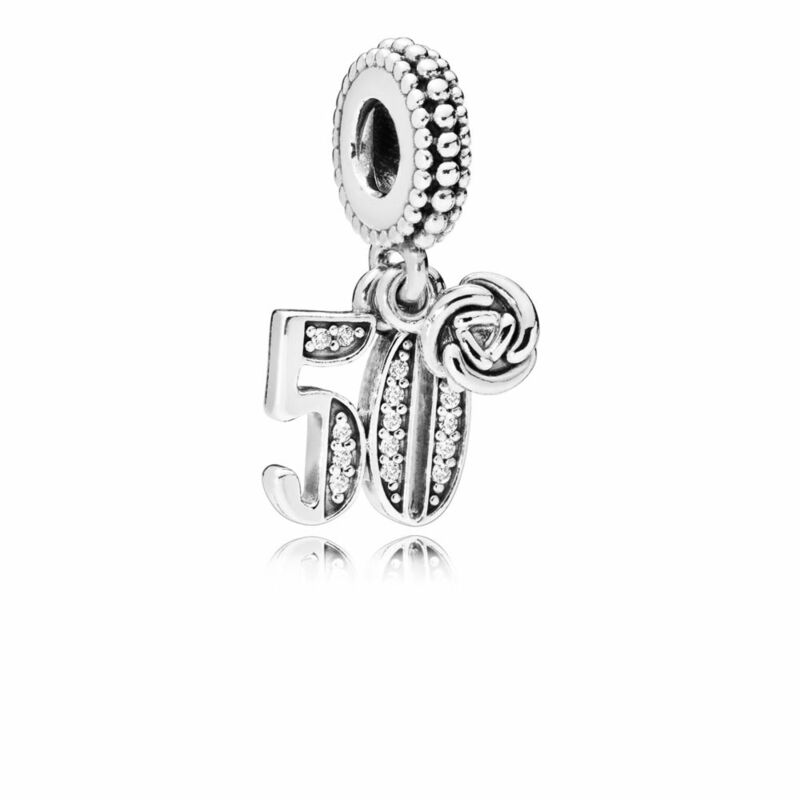 Similar to the 60 Years version this charm has a little silver rose that hangs independently from the number 50. 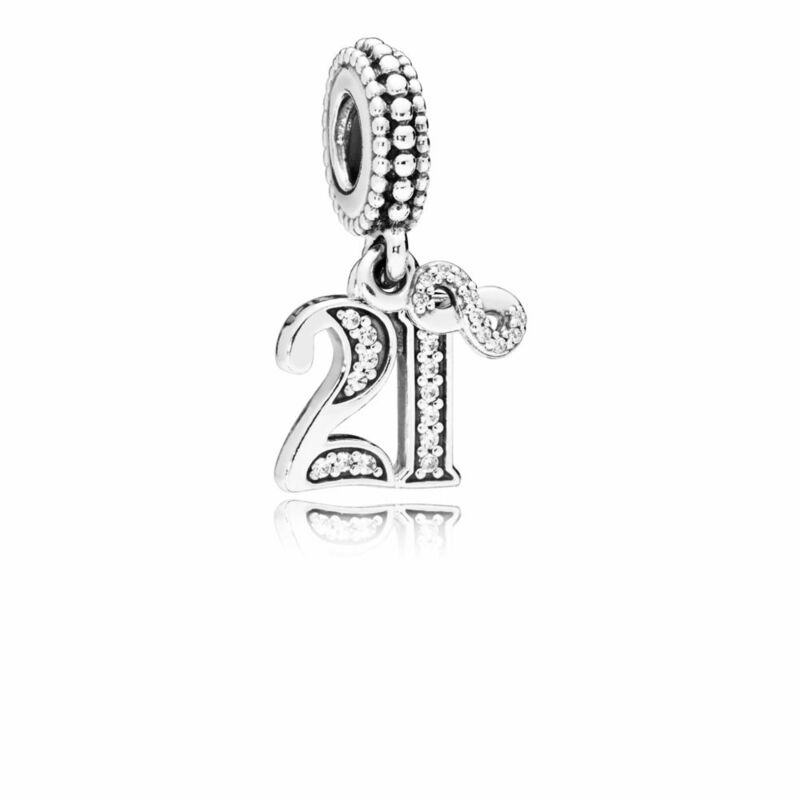 As well as a sparkling number 21 this charm has a glittering infinity sign that conveys ‘Forever 21’ and endless love. A glittering number 18 is set inside a plain silver heart on a beaded bale. 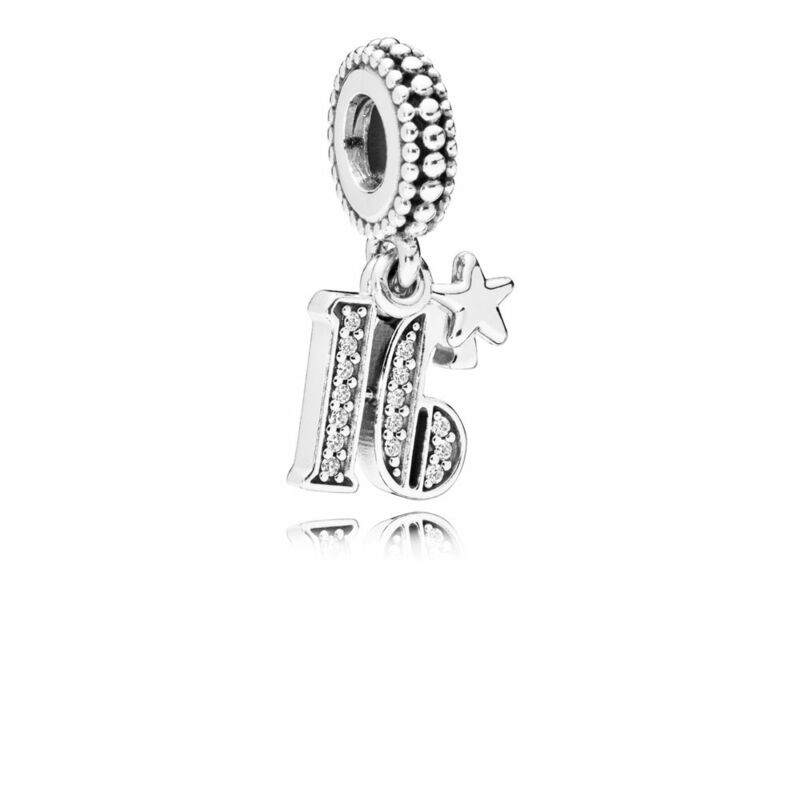 The 16 Years version also has a tiny silver star which hangs above the number 16. 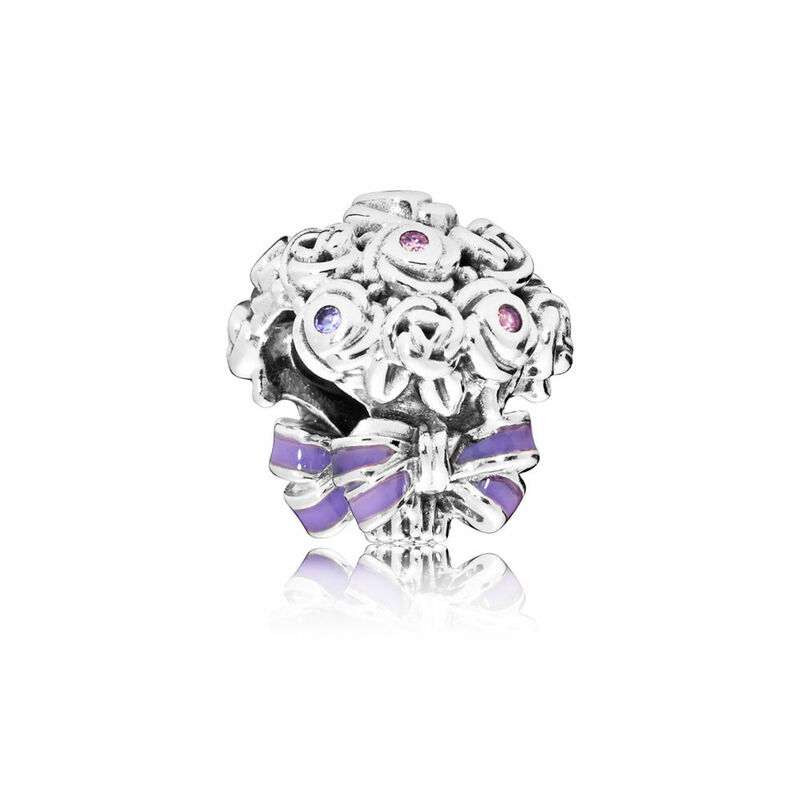 Send flowers that will last with this pretty silver bouquet tied with a purple enamel ribbon. The silver blooms are embellished with mixed pink and purple crystals. Whatever the celebration do it in style and with cake! This pretty slice of cake features pink filling and decoration in enamel and a separate little tag with the message ‘Congrats’! 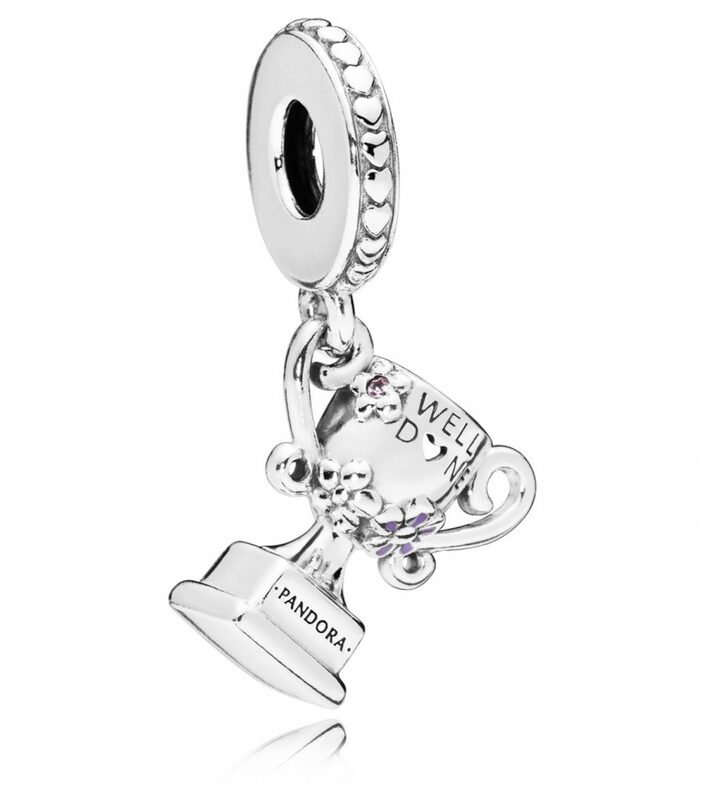 Praise an activement in style with this cute Trophy charm that has the message ‘Well Done’ engraved on the cup and features pretty flowers with multi coloured stones and purple enamel. The stand are of the trophy is engraved with the PANDORA logo. 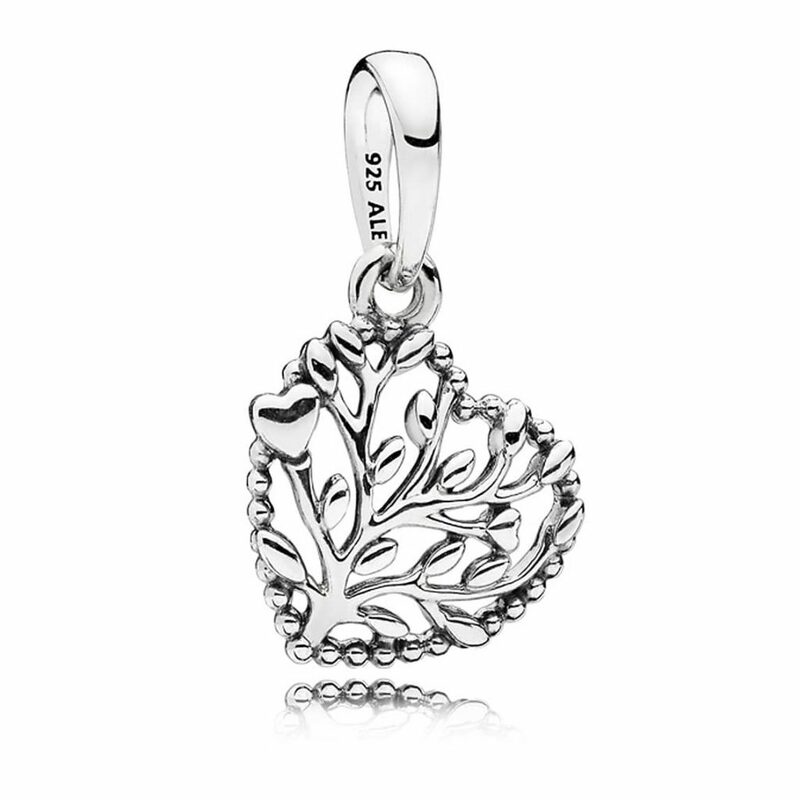 This is a very pretty pendant charm which would look beautiful on either a necklace or a bracelet. The nice low price is also very attractive! We have a new sparkling version of the Heart Floating Locket Dangle made with sapphire crystal glass and clear cubic zirconia. In the first preview of the Degrees of Love charm it was hard to guess what was written around the charm. Now we can see the messages are Love you more’ and ‘Love you most’. The concept of degrees is represented with an enamel stripe at the centre of the charm which has a white to purple gradient. 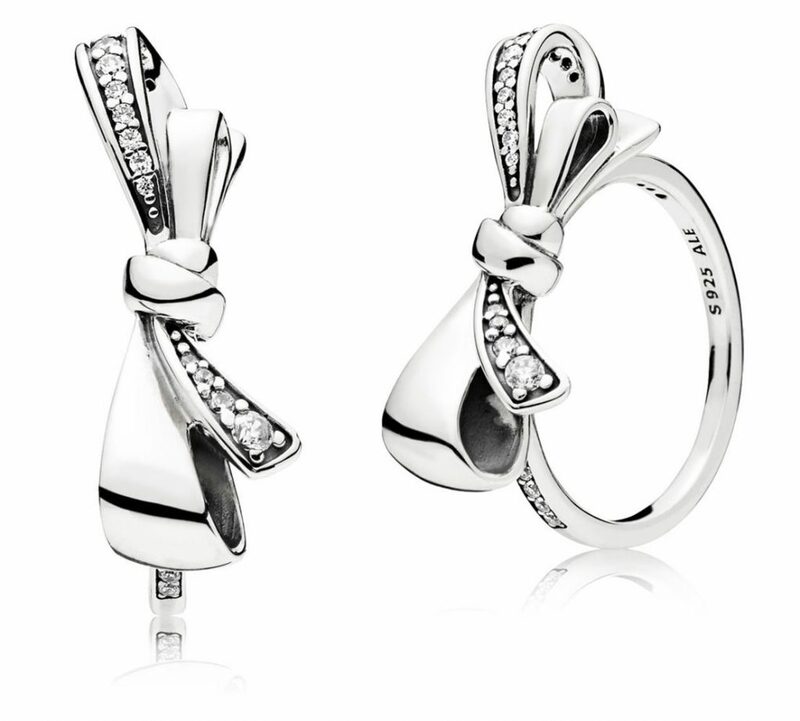 The Brilliant Bow range continues with a charm version of the sparkling ribbon design. You can see that it is quite a large feature charm if you look at the styling image above. I think this is my favourite out of the balloon style charms so far. A creamy white enamel balloon carries mummy and baby mouse whilst daddy mouse is hanging below! 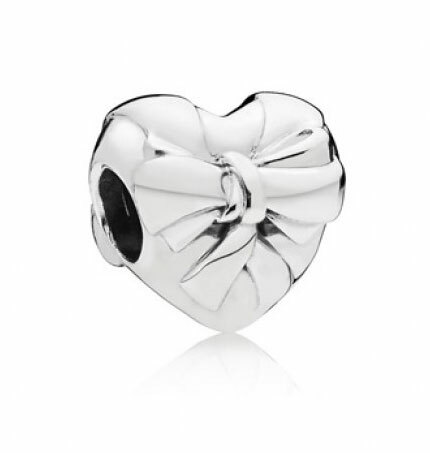 This is a sweet plain silver heart charm with a bow tied at the front. It is pretty enough but a bit uninspiring. 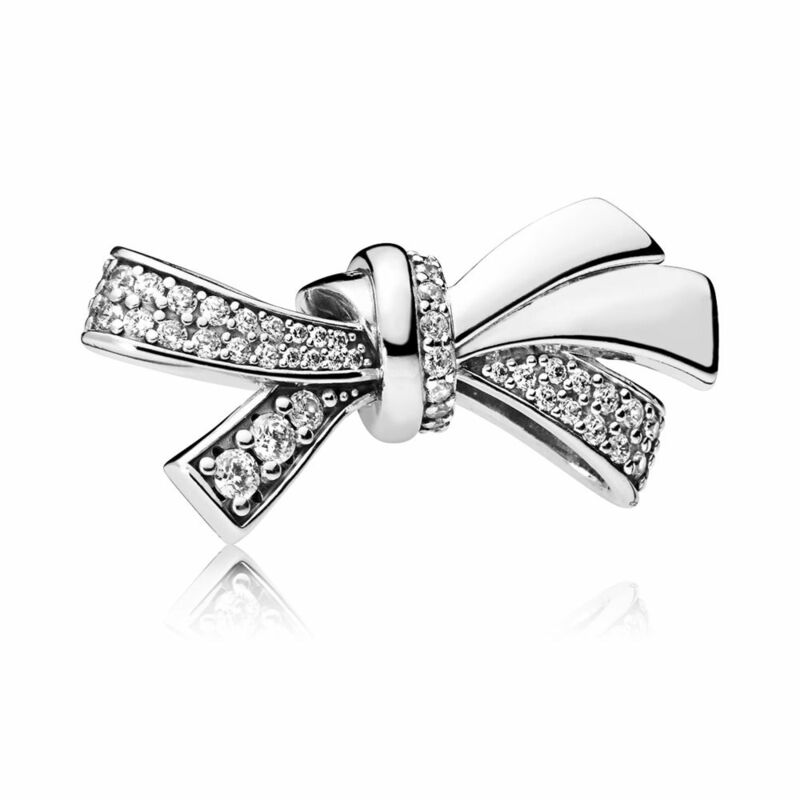 The simple squarish silver clip features a bow from the Brilliant Bow range with clear cubic zirconia stones. 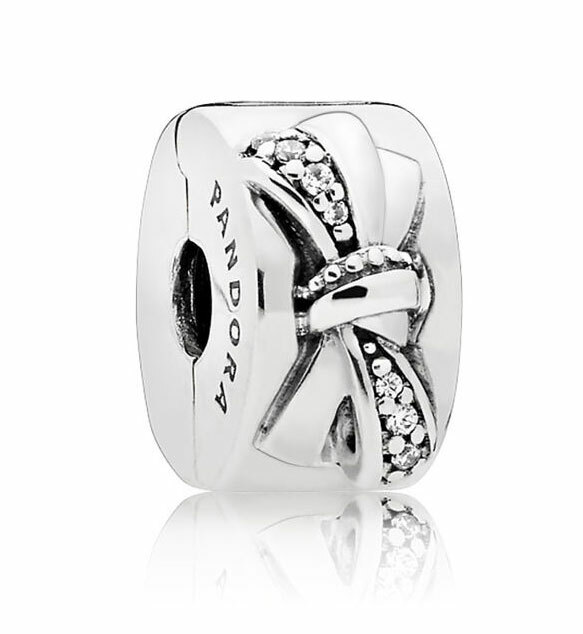 Celebrate graduation and all the hard work that was involved with this sweet Graduation Scroll charm. 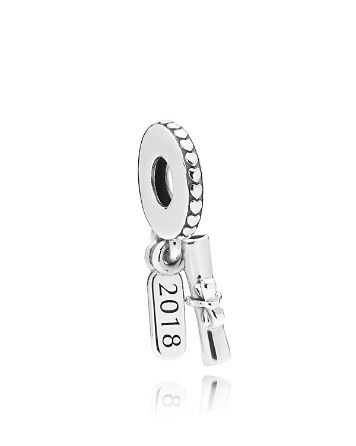 The year is included on a separate tag on the charm. 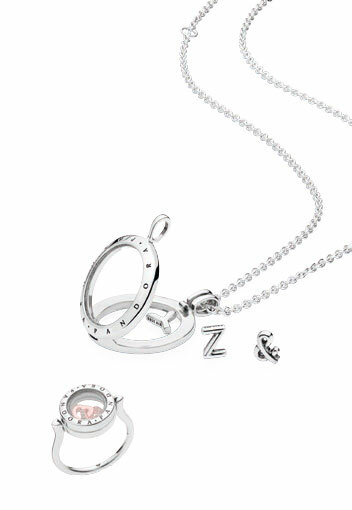 The new Letter Petite Charms are the only Petites in the Mothers Day 2018 Collection. 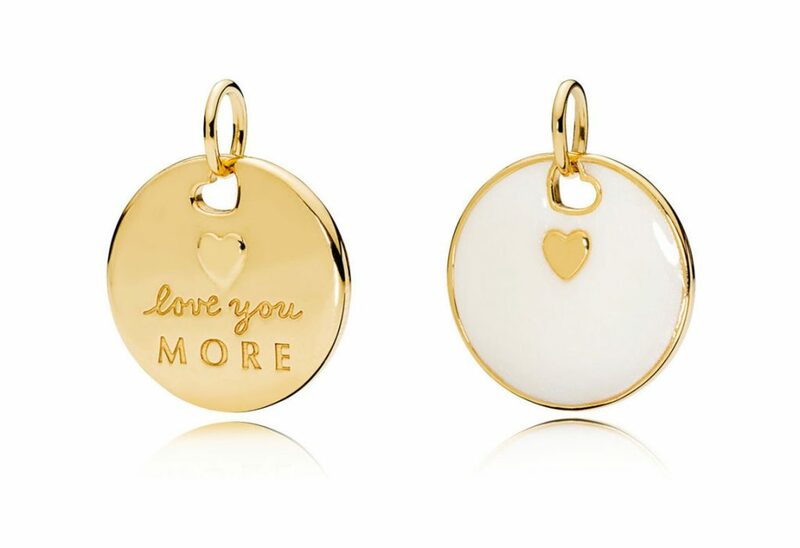 They are perfect for spelling out a message in your Floating Locket, or writing your name! 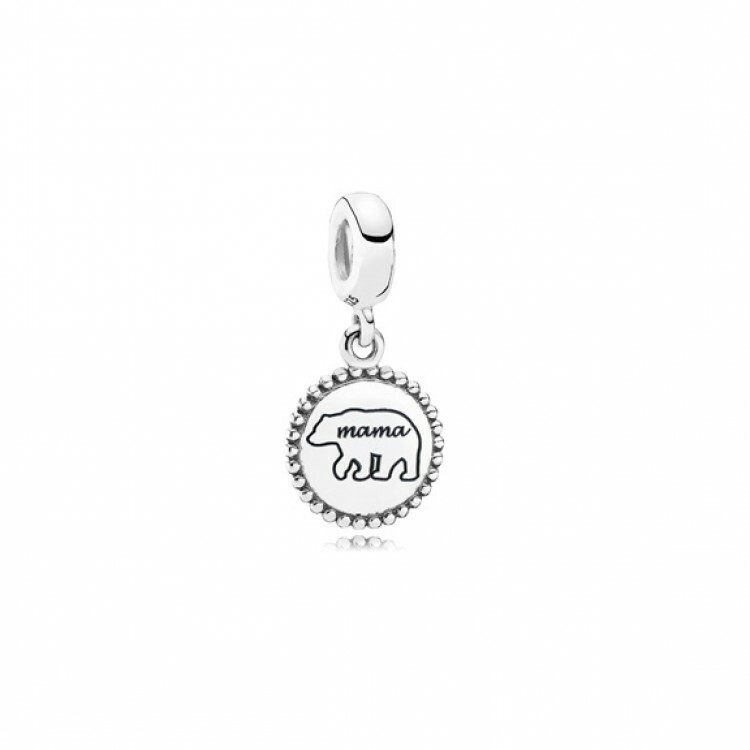 How cute is this US Exclusive Engraved Mama Bear Pendant?! I love the unique approach to Mother’s Day! 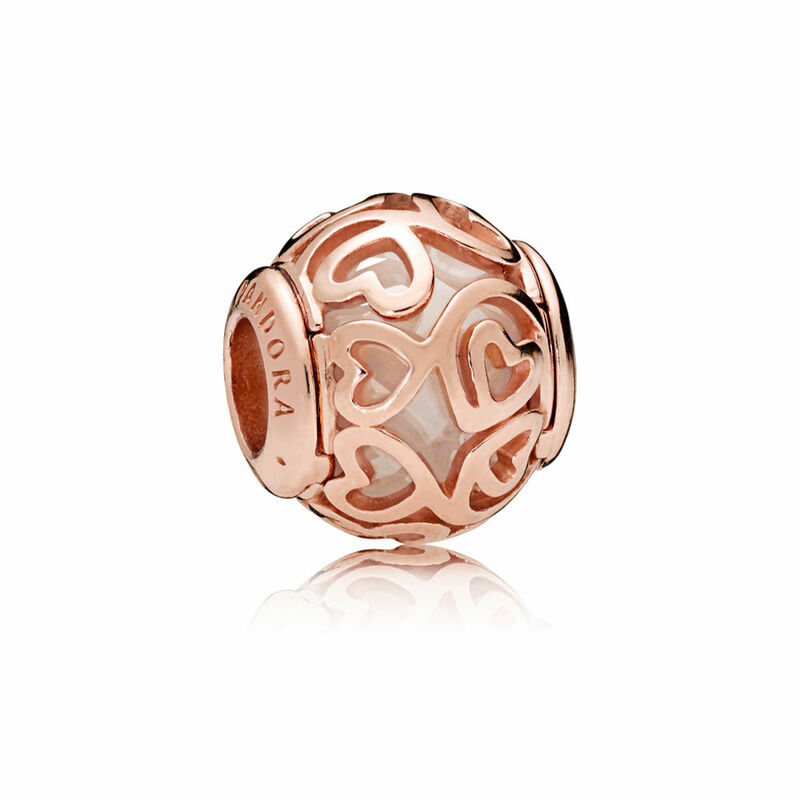 As well as a PANDORA Shine version we also now have the choice of a PANDORA Rose version of this charm. 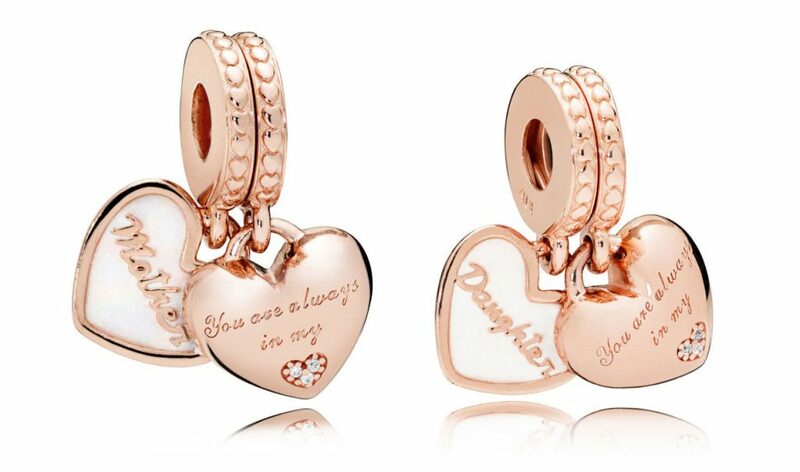 This twin charm set makes for a wonderful gift that both mother and daughter can share! 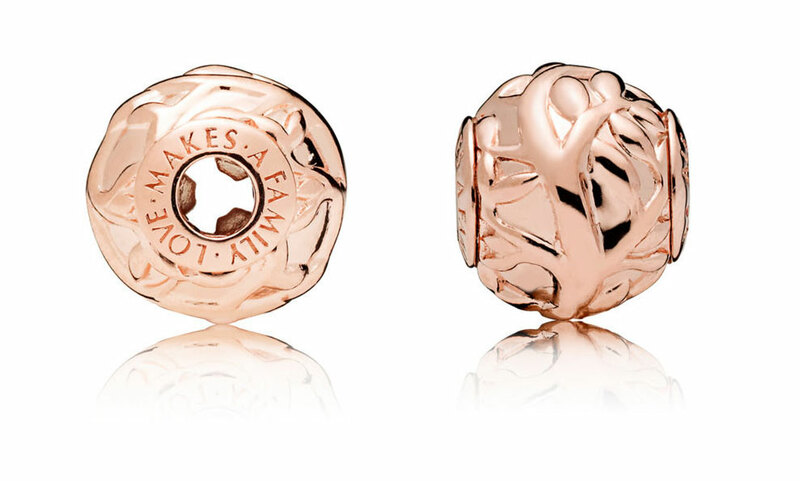 The reverse of the swirling shimmery pink enamel would be ideal for engraving a personal message to your loved one. 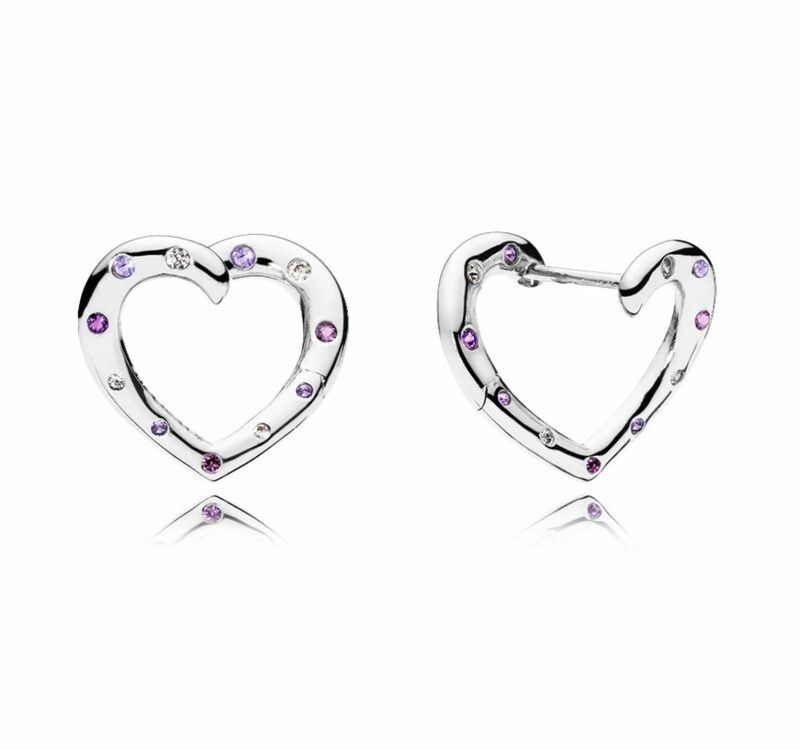 The Part of My Heart charm features a combination of silver and PANDORA Rose set off with clear cubic zirconia and pretty pink and purple crystals. 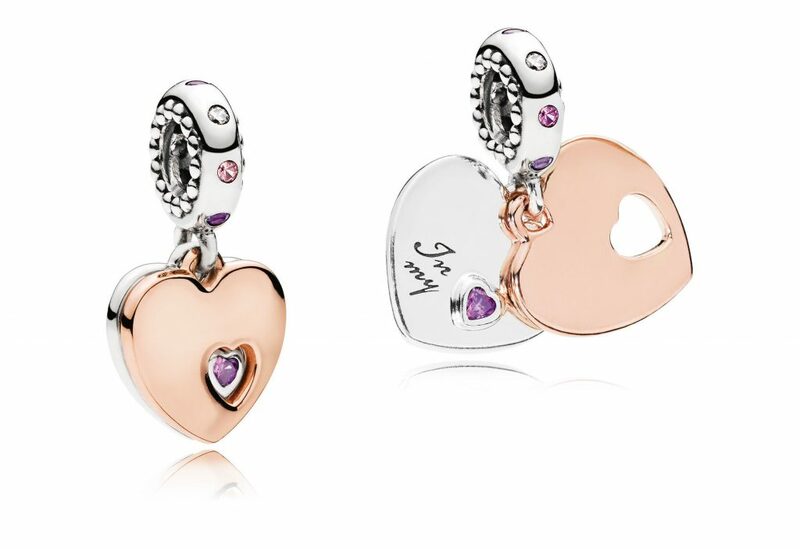 This charm is really quite sweet with two silver and one PANDORA Rose heart dangling from a larger silver heart that features purple crystals and clear cubic zirconia stones. 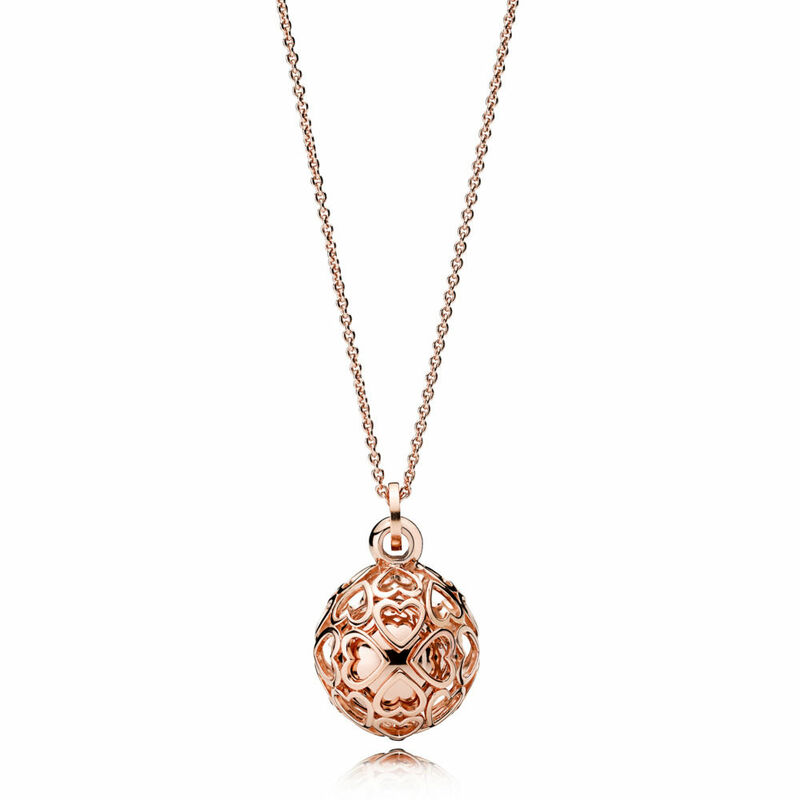 We now have a PANDORA Rose option of the Floating Locket for vintage flair and styling versatility. The Harmonious Hearts Chime Necklace design is also available as a charm but without the ‘chime’ feature. I really love this design and the styling feels quite Moroccan. 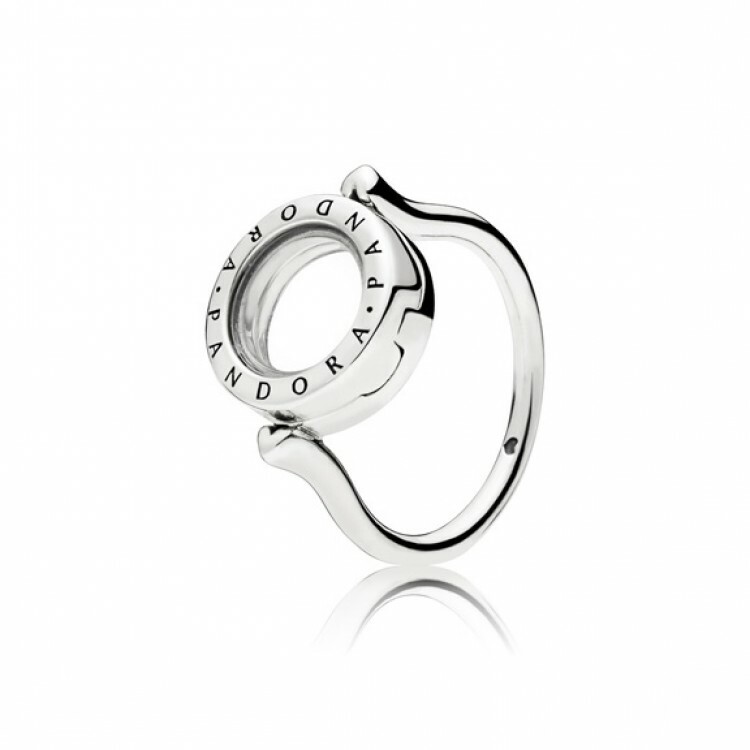 This is my most favourite Pacifier design that I have seen PANDORA produce so far! 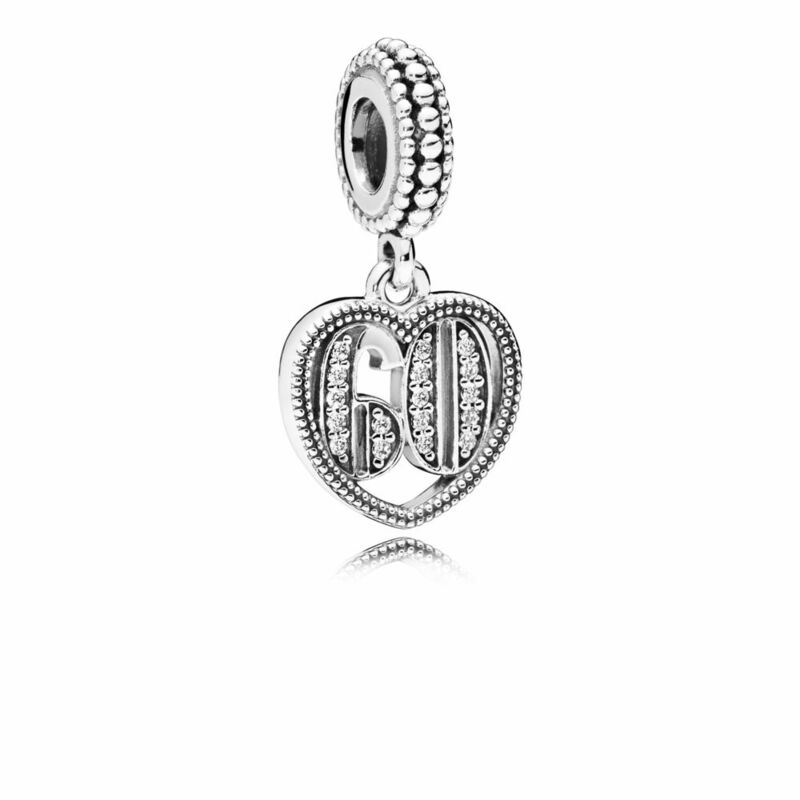 I am so happy that PANDORA is mixing up their designs and including larger charms like this one and the Bella Bot charms from the Spring 2018 collection. I adore the combination of the creamy cubic zirconia stone beneath the soft PANDORA Rose in this design. What could be cuter than the quirky Minnie and Mickey Petite Charms floating around in this PANDORA Disney Floating Locket?! 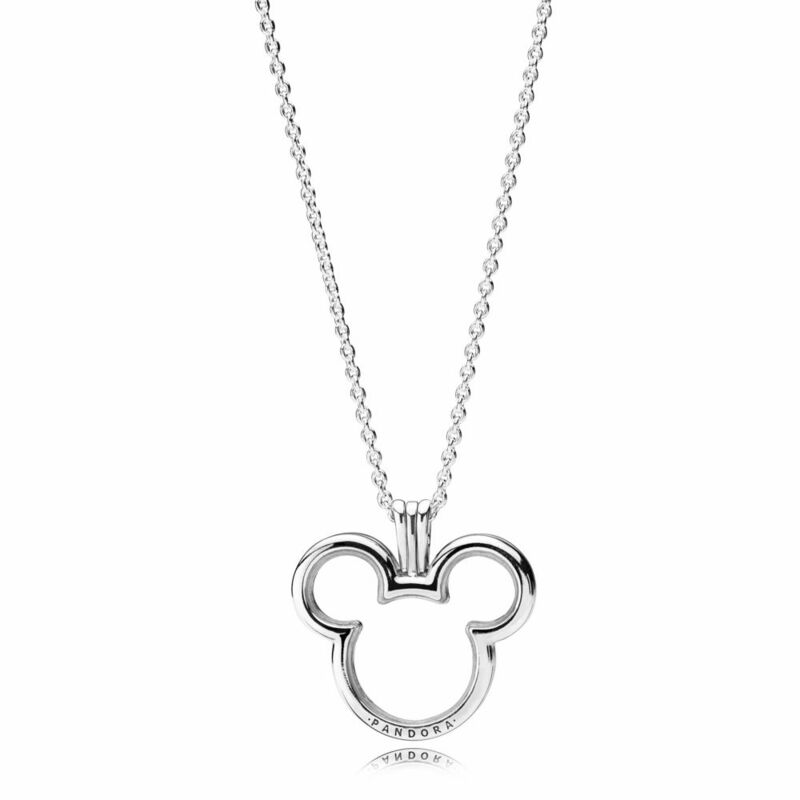 Made with sapphire crystal glass, this Disney Floating Locket necklace is a magical must have for PANDORA x Disney fans. 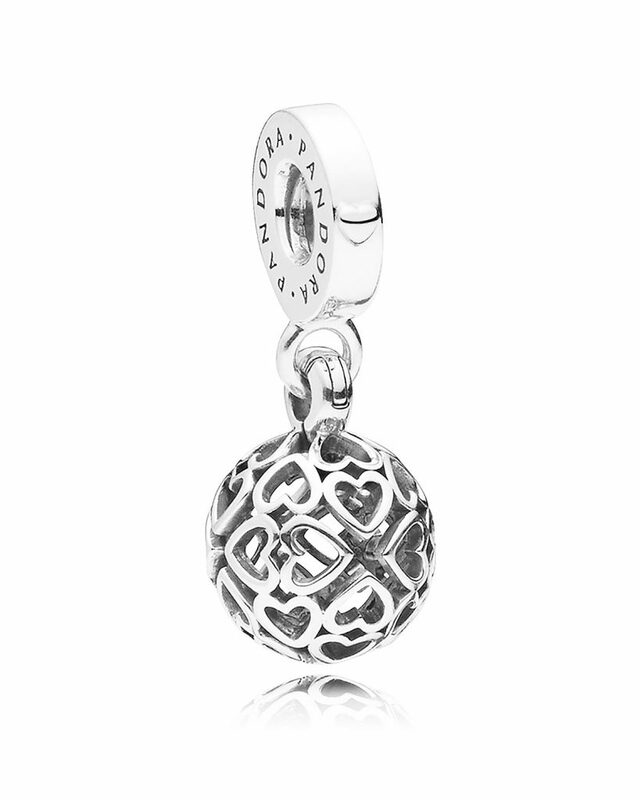 I have fallen in love with this charm! It is sooo incredibly cute! 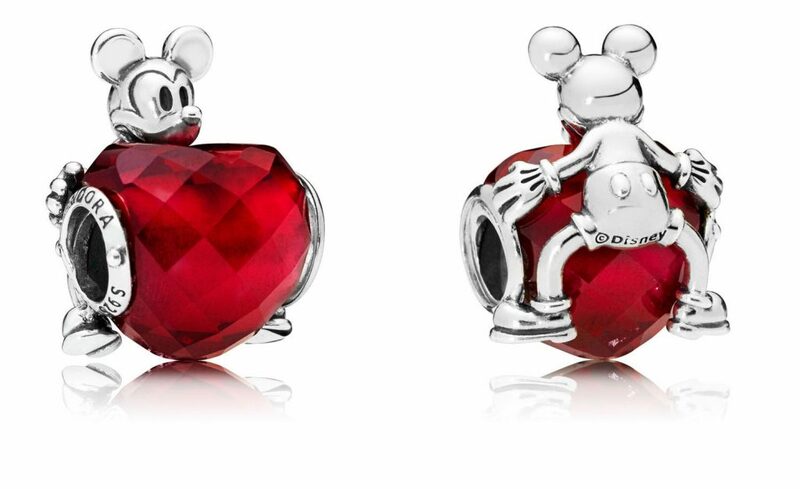 The ruby red heart is based on the Shape of Love charm but with an adorable silver Mickey holding onto it and peeking over the top! The detail of Mickey’s gloves, shorts and shoes is really sweet too and this charm is super cute on both sides. 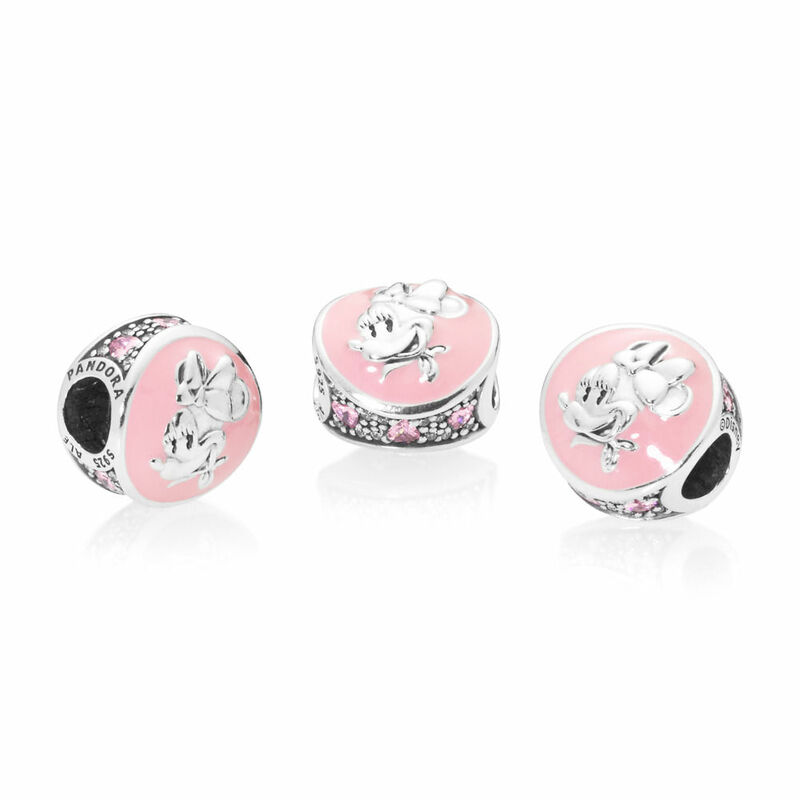 This button-shaped charm features a classic relief-style portrait of Disney Minnie Mouse. The pretty pink enamel background frames Minnie, the chic fashionista! This design really puts some fun into safety! This safety chain has a 5cm chain. The Climbing Mickey is my most favourite safety chain that PANDORA has produced so far. I love how they didn’t restrict their design to just the bale area of the safety chain. 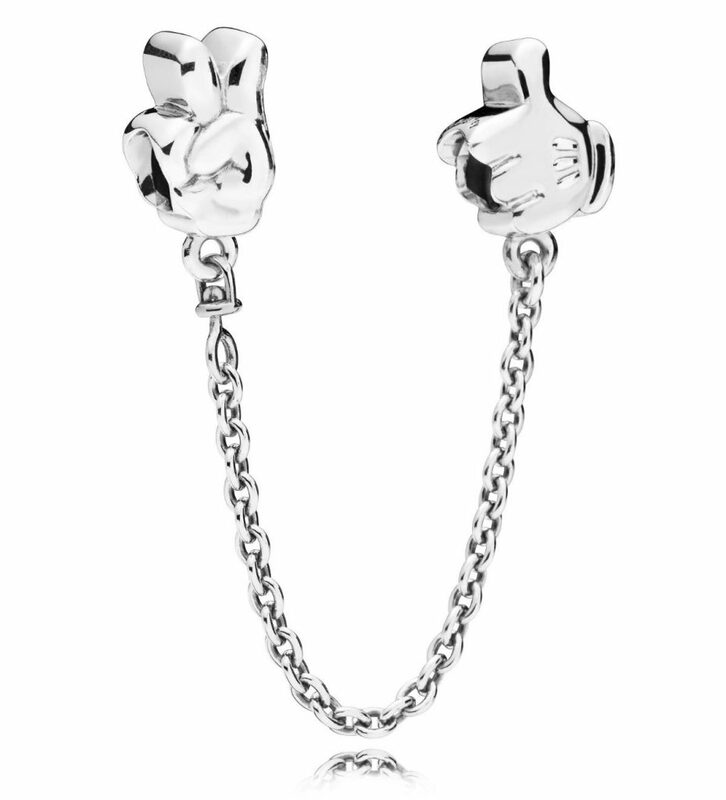 The Disney Mickey Ionic Glove charm has a nice chunky look to it and features a clean white enamel. I am interested to see how this charm looks styled on a bracelet. 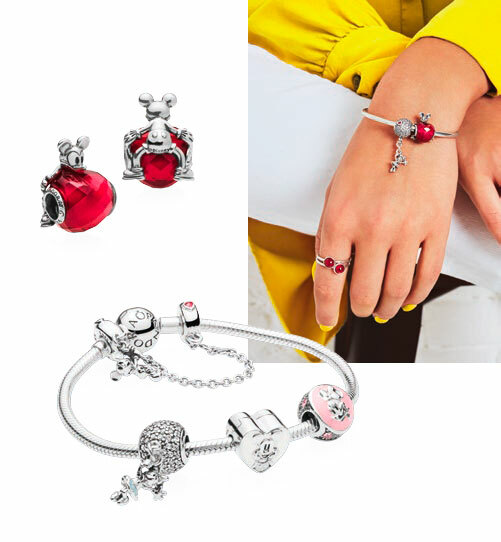 Contining the balloon charm style PANDORA has produced a Disney version with a darling Minnie dressed in a pale blue tutu style skirt waving as she hangs beneath a sparkling ‘balloon’ set with clear cubic zirconia stones and a single red love heart. 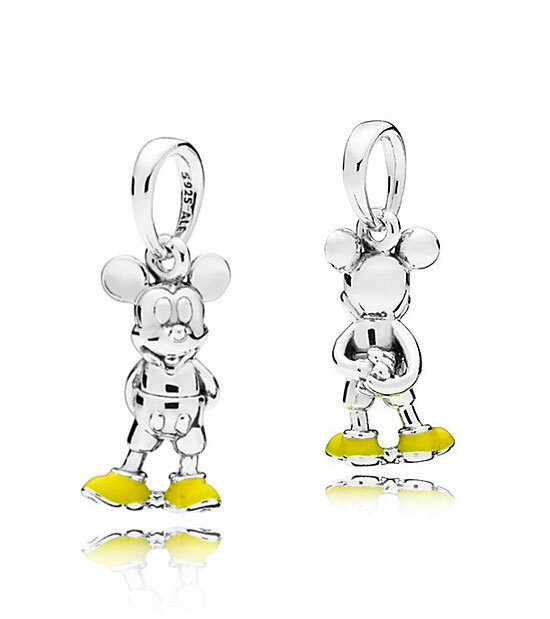 This new Vintage Mickey Clip is quite sweet with Mickey’s cute head on hands pose and its white enamel detail. 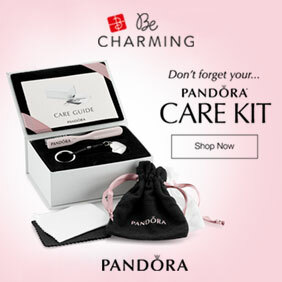 It is nice that PANDORA have produced a non cubic zirconia Disney clip too as not everyone likes the added sparkle. 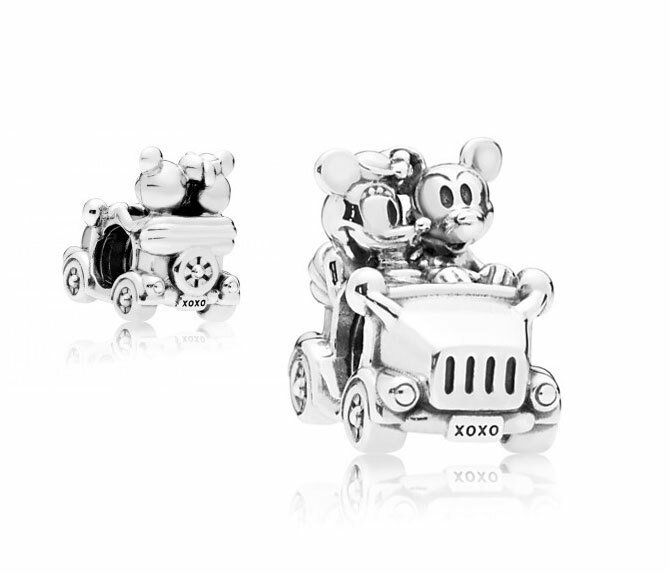 The Disney Mickey & Minnie Vintage Car is another one of my favourites from the PANDORA Mother’s Day 2018 collection. I am so pleased that PANDORA has gone back to producing charms like this one; solid, chunky silver with beautiful oxidised detail! Notice the car’s registration plate is ‘XOXO’! Apparently the 90’s are back this year and it has been said that the 90’s were 2018 before 2018 was 2018! 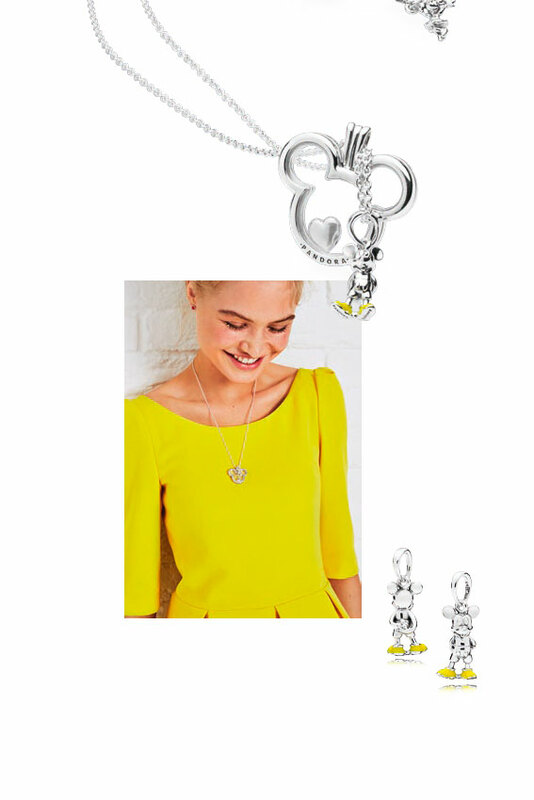 If, like me you don’t understand that at all, don’t worry… just add this cute Classic Mickey Pendant to your outfit for some retro 90’s funk! 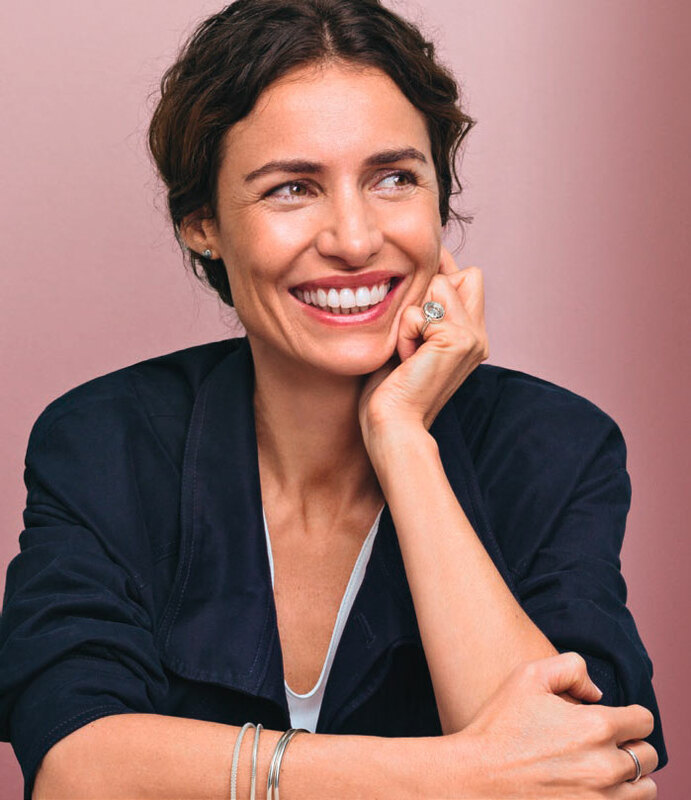 The PANDORA Mother’s Day 2018 Collection is released on the 12th April and will be available from our preferred online PANDORA retailer BeCharming.com. Phew! The Mother’s Day collection seems to be quite full this year and has some different ideas. What are your favourites? 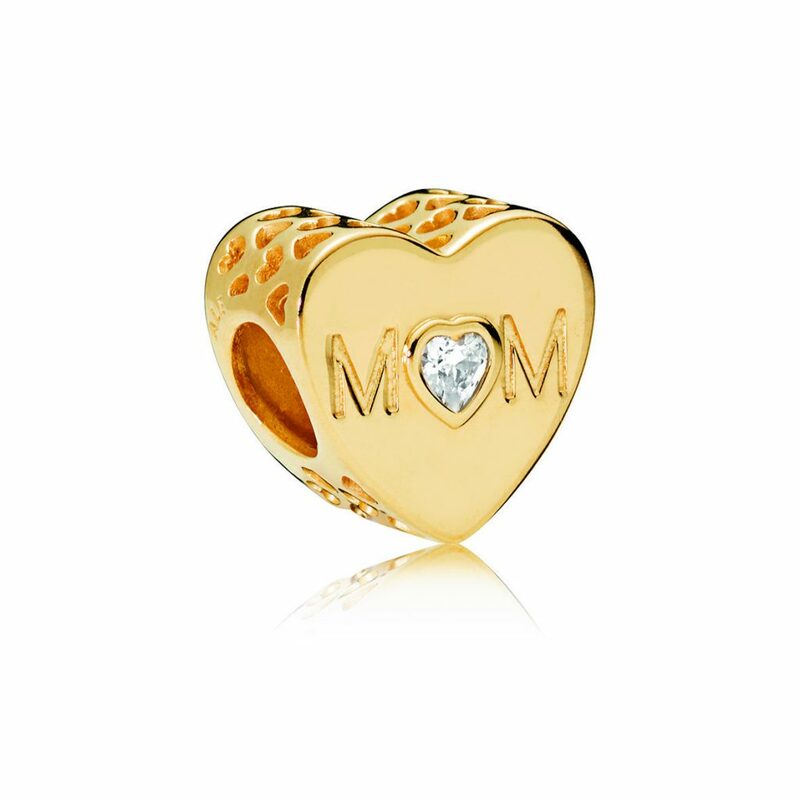 Are there any must-have charms for you? Let us know in the comments below!